It has been two years since I wrote this post, but I think it is important for those just starting out, so I am reposting…. My first experience at genealogical research wasn’t research at all. But I didn’t know any better. I wanted to know more of my ancestor David Pinder/Pindar/Pendar/Pender/Pynder. His Seaman’s Protection Certificate tells me he was a native of Ipswich, Essex County, Massachusetts, he was 5’11” with light hair, light complexion, blue eyes and a large scar on his bosom. He died at sea in 1815 at the age of 27. 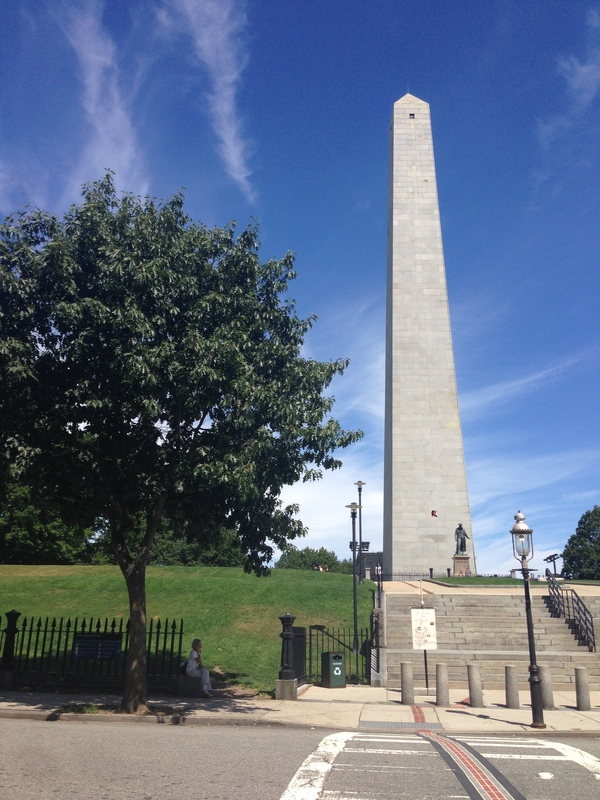 His young widow and their two young daughters ages 3 and 5, relocated to Malden, Massachusetts a distance of about 20 miles. The curse of the common name. My tree is chock full of them. 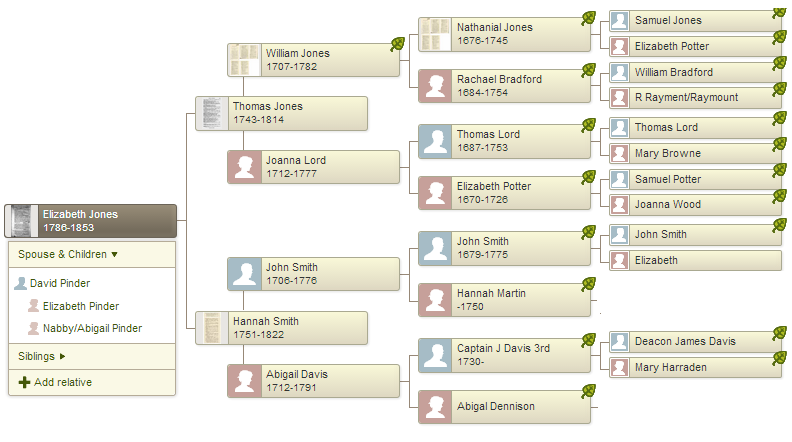 One such ancestor is Elizabeth Jones, my 4th g-grandmother. Her likely father was a Jones and mother a Smith…. Can it get any worse? In order to reconstruct her life and family, I am compiling her FAN (Friends, Associates and Neighbors) Club. 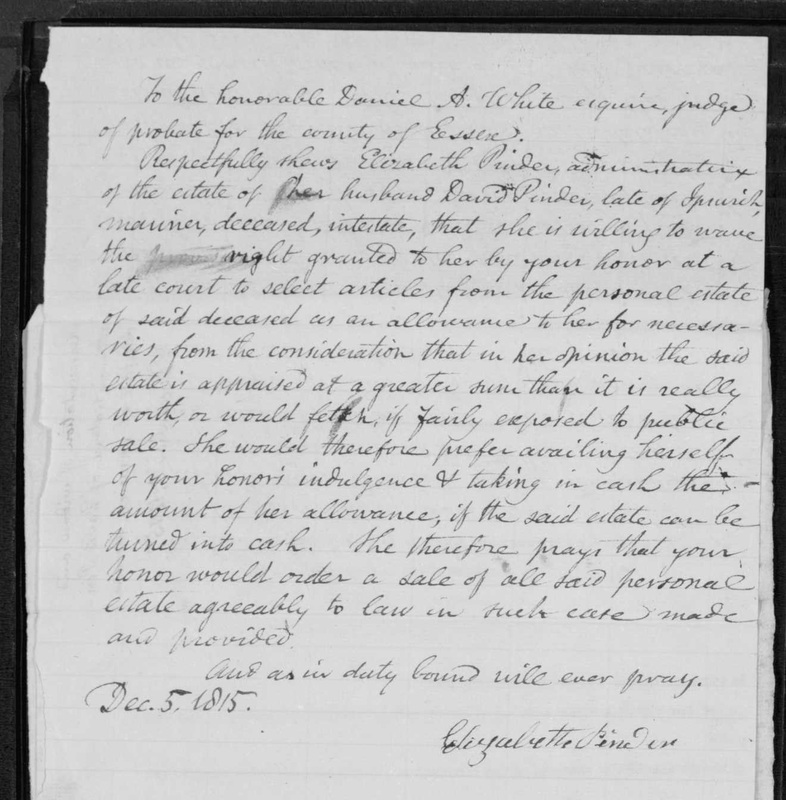 As Professional Genealogist, Elizabeth Shown Mills, points out, “Learning more about an ancestor’s FAN Club is a great way to discover new information about your direct ancestry, as these people are often listed together in deeds, wills, court cases, road orders, etc., and help you build a stronger case about relationships in your own family.” Also sometime called cluster or inferential genealogy. There is a great FREE course narrated by Dr. Thomas Jones, on Family Search, if you are interested in learning more: https://familysearch.org/learningcenter/lesson/inferential-genealogy/251. So…. This post may have a few interesting tidbits, but is primarily a collection of names needing further research. 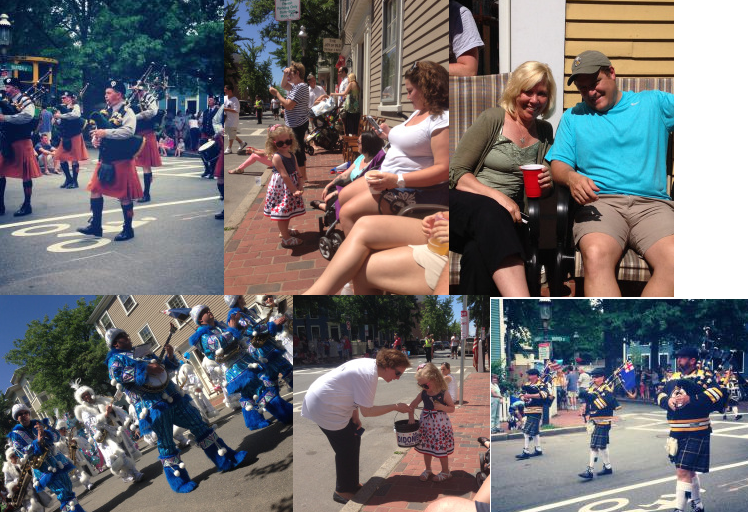 If your ancestors were of Ipswich, Massachusetts in the 1700 & 1800’s perhaps you know some of the folks. If so, please drop me a note! Elizabeth Jones married David Pinder (Pindar, Pendar, Pender, Pyndar), on 8 Dec 1810. 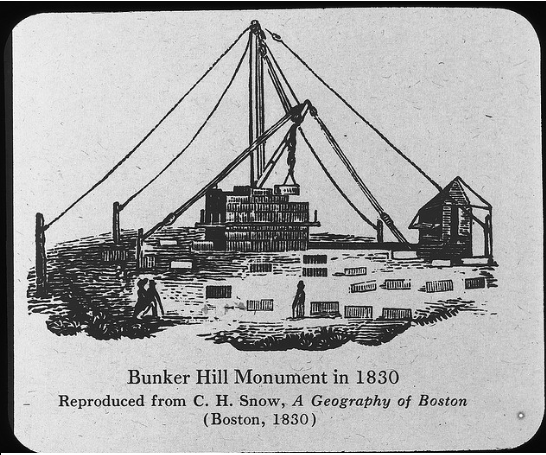 Both were said to be of Ipswich, Massachusetts. He was likely the son of Moses Pinder and Mary Kimball [or possibly Mary Procter – details here]. Her recorded birth date is prior to her parent’s marriage. I suspect either the birth or the marriage was recorded incorrectly. The birth date matches what is on her tombstone and when Elizabeth died 22 Jul 1886, the death record notes that she was age 76, 2 months, 4 days (if she was born in 1810 she’d be 76 years 1 month 4 days). The marriage entry does not capture a birth date/age. I do believe that Elizabeth Jones was her mother – Although possible, six months is likely not enough time for another Elizabeth to have died just after childbirth and him to have married a second Elizabeth. 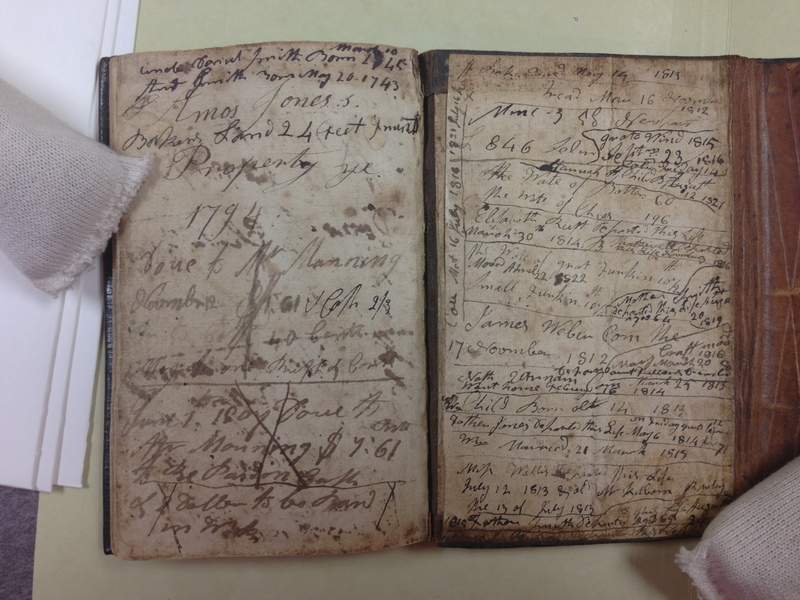 In the record book, 1810’s and 1809’s were mixed together, so perhaps the page was copied incorrectly (or the priest recorded the wrong year)…. 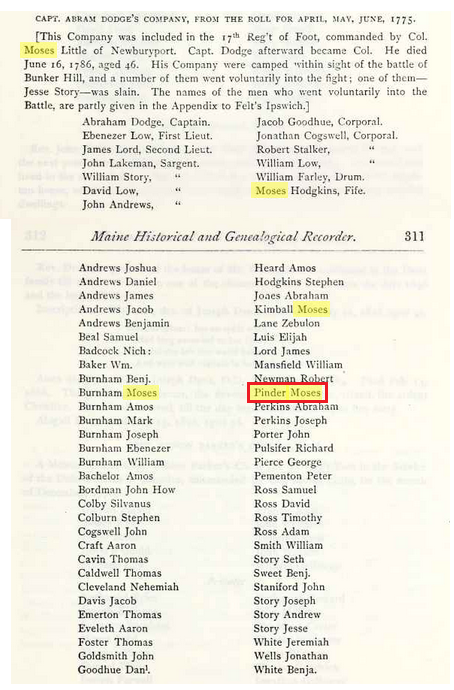 I suspect the marriage was actually 1809 and that Elizabeth Jones was likely a few months pregnant….or perhaps she was pregnant, David left for sea unknowing and married her in 1810 when he returned. Elizabeth’s likely father, Thomas Jones also has a household of four, three are women, one female 16-25 – Elizabeth was 24 and her younger sister Eunice, who never married was 17. 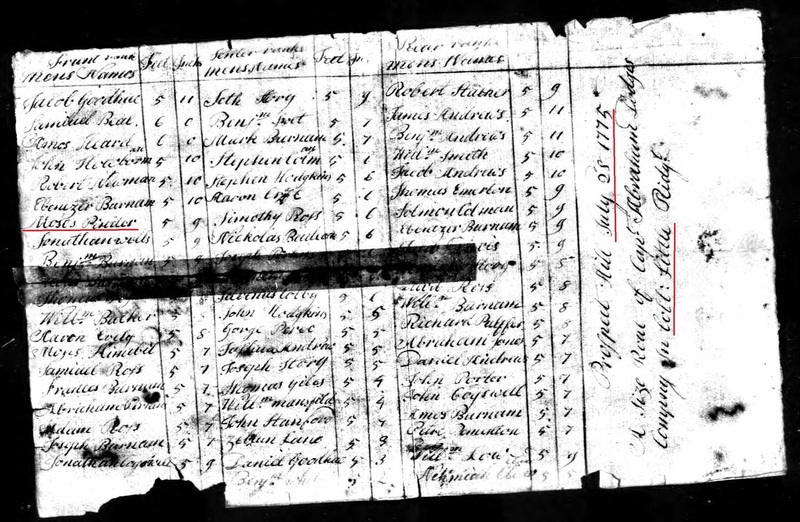 It is possible that Elizabeth could be one of the 25+ woman, but she also had a sister Hannah in that age group who may have been unmarried (a Hannah Smith is listed in David’s probate papers, this is likely Elizabeth’s sister who’s husband died several months after their marriage, in 1801, she did not remarry until 1820). 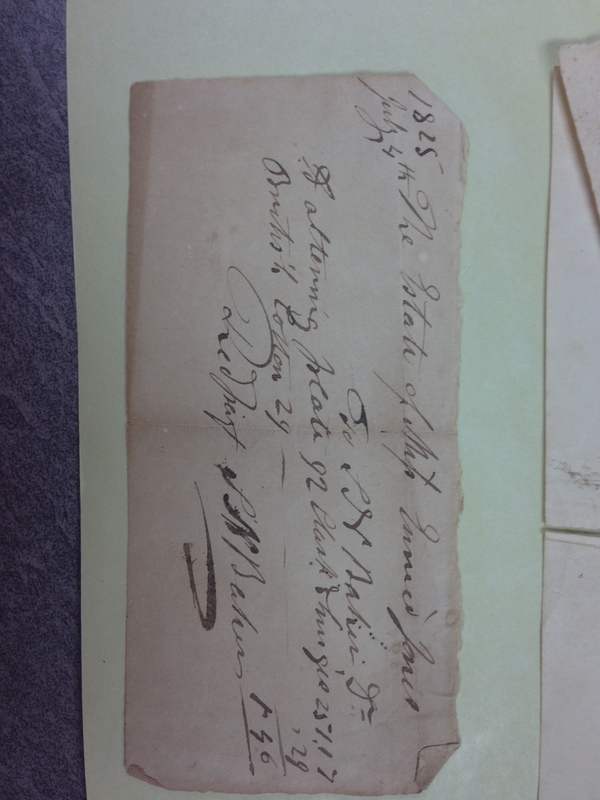 He died intestate [probate file #: 21991, File Date: 05 Sep 1815 Residence: Ipswich, Occupation: mariner]. Elizabeth is named as widow and gives bond with Amos Jones, Blacksmith [second time he is mentioned!] and Aaron Wallis, Trader, as sureties. The committee included Aaron Wallis, Daniel B. Lord and Jeremiah Kimball. Thomas Knowlton was listed and then his named crossed off. Witnesses included Charles Kimball and Nathaniel Lord. 1 secretary $25 [desk]; one light stand $1; two card tables $2; 2 pine tables 50c; one low chest draws and pine chest 50c; 1 press bedstead, under bed and cord $4; two small bedstead $1; 1 feather bed, bolster and pillows $12; one flock bed and straw bed $1.25 [these are bed coverings, not actual beds]; 6 pair sheets $7; five pair pillow cases $1.60; 4 bed quilts $8.25; two coverlets and 1 blanket $1.40; Bed curtains and window curtains 50c; 6 table cloths $4.50; twelve towels $1; One looking glass $5; eighteen chairs $10; 1 candle 50c; eighteen knives and forks $2.25; 1 pair iron dogs 75c; one pair shovel and tongs 75c; 1 pair bellows 20c; iron ware $1.60; tin ware $1.50; two waiters $2.50; 6 small silver spoons $3; dry cask $1.50; wooden ware $1.25; one brush 20c; 2 pair candlesticks $1, snuffers and tray 20c; Earthen ware 90c; four dozen earthen plates $4; 6 fish dishes $2; two tea pots 25c; Crockery and glass ware $7; Bible and other books $1.75; Meat chest and sieve 58c; trunk $1.50; woollen wheel and clothes horse $1.25; umbrella 25c; 2 pair cards 50c; quadrant $3 [could be used for navigation]; slate 17c [blackboard]; wearing apparel $15. 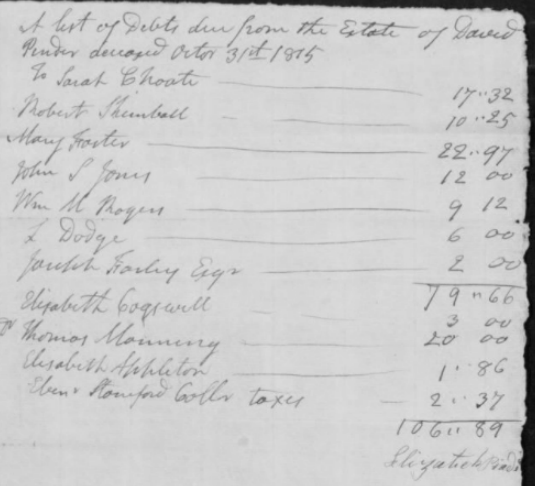 He owed debts of $106.89 to Sarah Choate; Robert Kimball; Mary Foster; John S. Jones; Wm M. Rogers; L Dodge; Joseph Farley, esq; Elizabeth Cogswell; Thomas Manning; Elizabeth Appleton and Eben & Stanford, collector taxes. 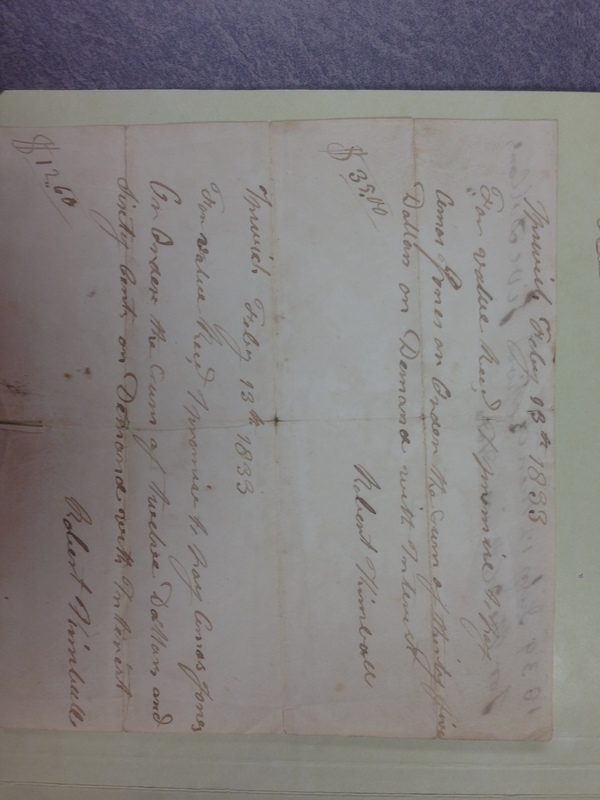 Elizabeth waived her right to keep a hundred dollars of the property as her “allowance” from the estate. She believed the estate was overvalued and prefered to take her allowance in cash from the proceeds of the sale. She prays the probate judge will order the sale. 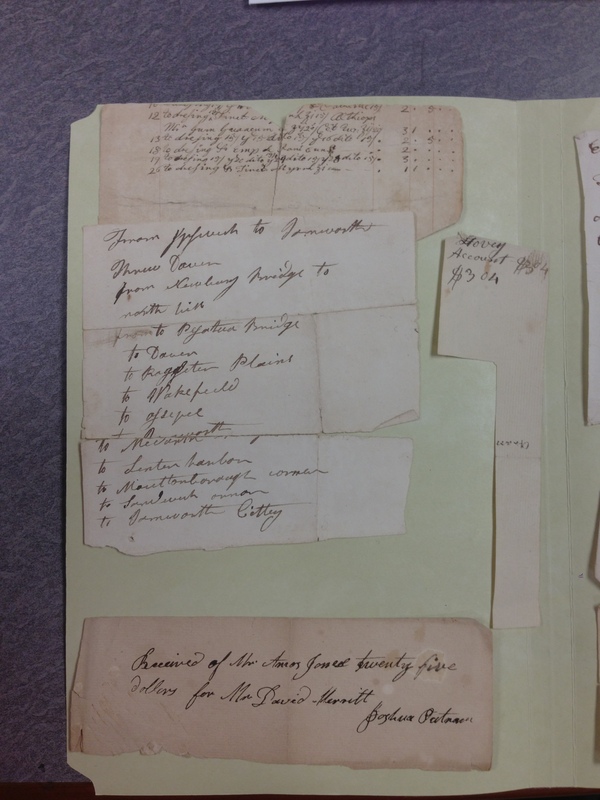 Elizabeth bought most of the items for less than the value in the inventory – Likely the secretary desk, the item with the highest value ($25), was a prized possession. Elizabeth was able to purchase it and the light stand for only $10. Total proceeds were $84.85. Elizabeth made the right decision to wait for the sale, rather than take items valued at $100. Other buyers each getting a few items included: Charles Symons; Moses Pinder; Hannah Smith; Daniel Cogswell & Ephraim Fellows. 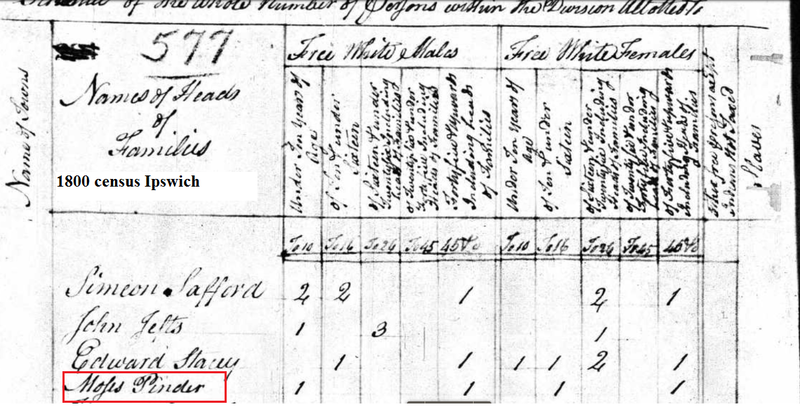 Elizabeth’s name is not found in the 1820 Federal Census. 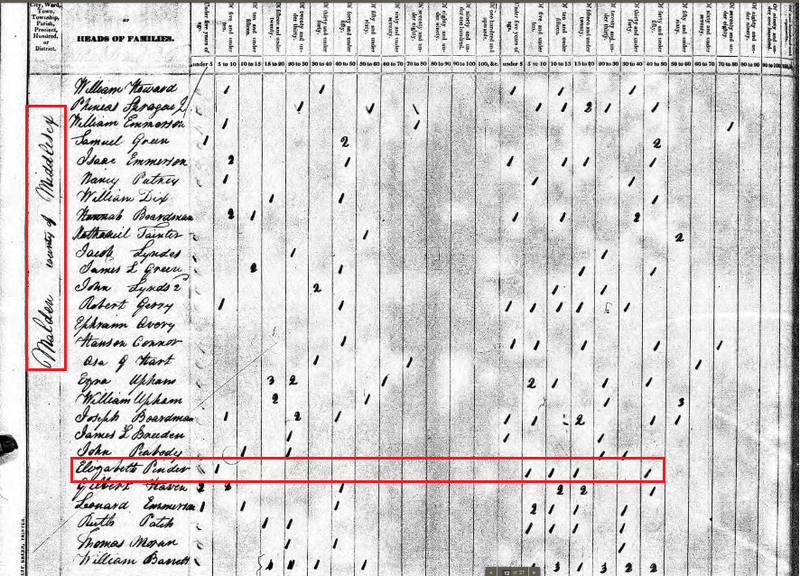 This census includes only “head of household”, so she was likely residing with a family member or friend. 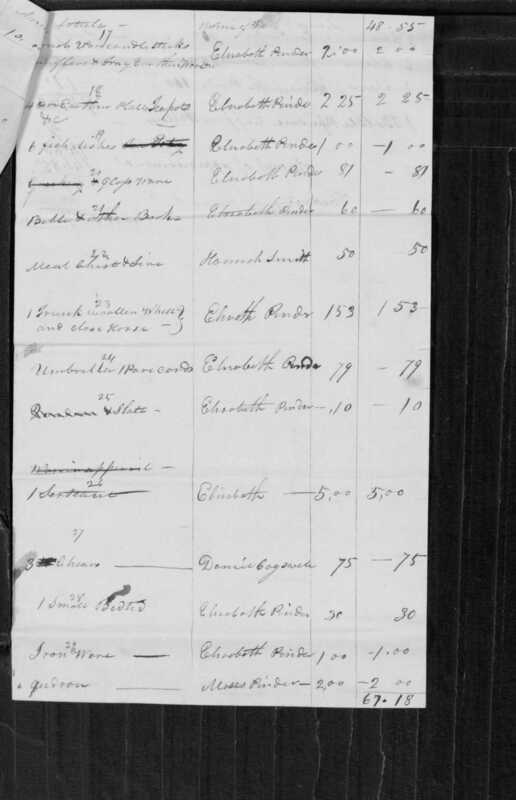 Elizabeth appears in the 1830 census, in Malden, Massachusetts as head of household. There are four others residing with her: 1 male age 5-10, 1 female age 5-10, 1 female age 10-15 (likely Nabby) and 1 female age 15-20 (likely Elizabeth). 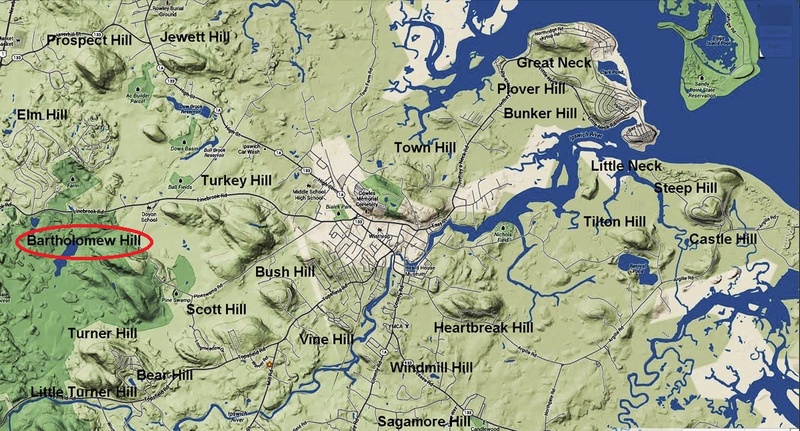 A search of families enumerated nearby reveal no one who is seemingly a relative or associate from Ipswich. Who are the two young children ages 5-10 residing with her? How/Why did she end up in Malden, a distance of about 25 miles from Ipswich? Perhaps for a job in the factories? Elizabeth Pinder was the first of six generations to reside Malden (myself included), I have always been intrigued by her arrival, as it changed our destiny, but am unable to determine what drew her to town. Elizabeth in 1840, continues to reside in Malden, now with two males, one age 15-20 and another age 20-30. Two people in the home are employed in manufacture and trade. Who are these boys? Are both employed or is Elizabeth one of the two working? By 1840, daughter Elizabeth had married Horatio Hall, son of Brian Hall and Polly Lane and was residing in Seekonk, Massachusetts with several children. Nabby [Abigail] had twice married, first to Asa Knowlton, parents unknown, in 1832 (he died in 1833, age 26) and second to Charles Cousens, parents unknown, in 1836. 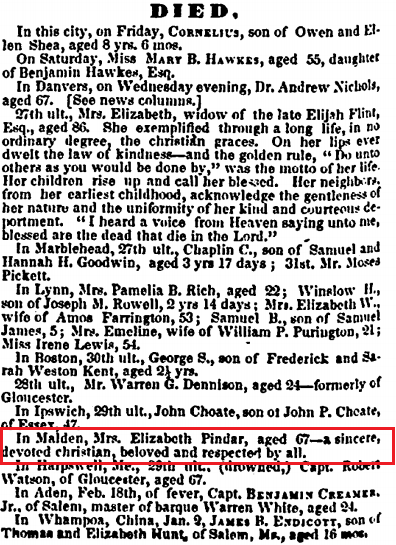 She died on 13 Apr 1840, in Malden, age 27, with no known children, cause unknown. 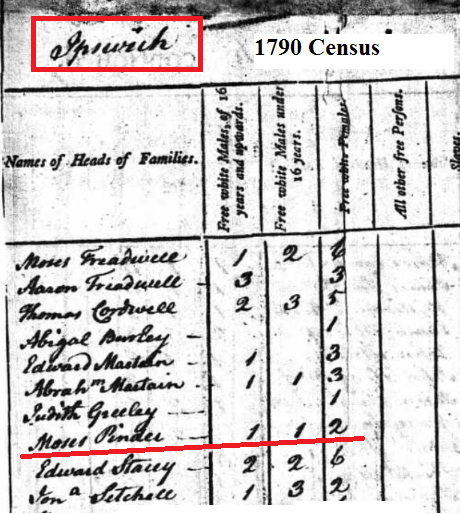 Between 1840 and 1842, daughter Elizabeth (Pinder) Hall’s family had relocated to Malden (they had a baby on 02 Feb 1840 in Seekonk, and then another on 17 Apr 1842, in Malden). The elder Elizabeth resided with Horatio and Elizabeth by 1850. No one is the household was working. Elizabeth died of cancer in bowels, 10 March 1853. Her death certificate lists her as widowed and born in Ipswich, but her parents are not named. The Ipswich newspaper included a short obituary: “Mrs. Elizabeth Pindar, aged 67 – a sincere devoted christian, beloved and respected by all”. 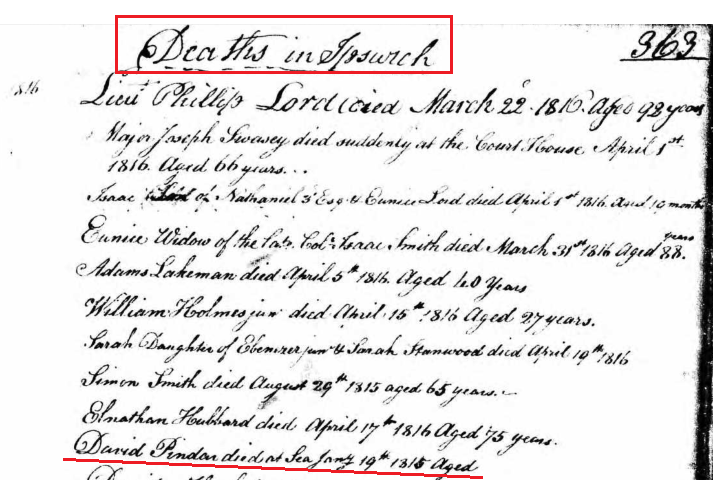 If Elizabeth was 67 at death, she would have been born about 1786, thus, the likely candidate for Elizabeth’s parents are Thomas and Hannah (Smith) Jones who were married in Ipswich 2 Nov 1773. 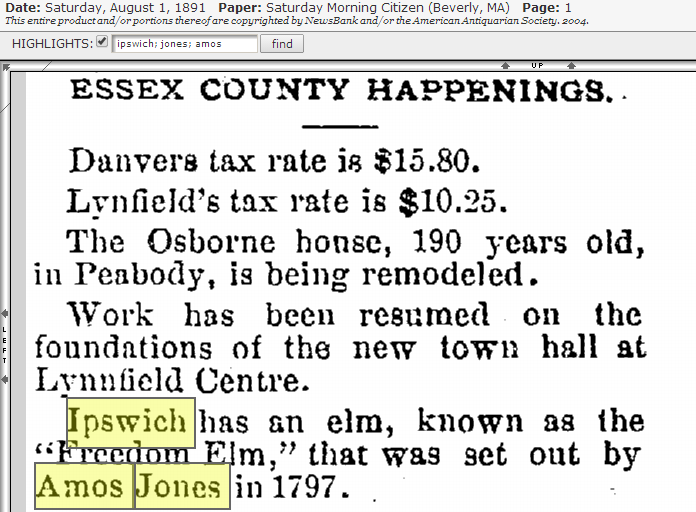 In the article “Joseph Smith [1783-1881] Ipswich, Mass.”; from the Ipswich chronicle, May 28, 1881 (Read Here) several pages, beginning on page 22, are dedicated to the recollections of Elizabeth’s sister-in-law, Amos Jones’ wife. Many of the same names are included as well as a number of interesting stories. In one section she speaks of Elizabeth’s mother, Hannah (Jones) Smith when the family home was opened to Whitefield, the Evangelist. In 1740, Whitefield travelled to America where he preached a series of revivals that came to be known as the “Great Awakening”. He became perhaps the best-known preacher in Britain and America during the 18th century, and because he traveled through all of the American colonies and drew great crowds and media coverage, he was one of the most widely recognized public figures in colonial America. (2) Amos – b. 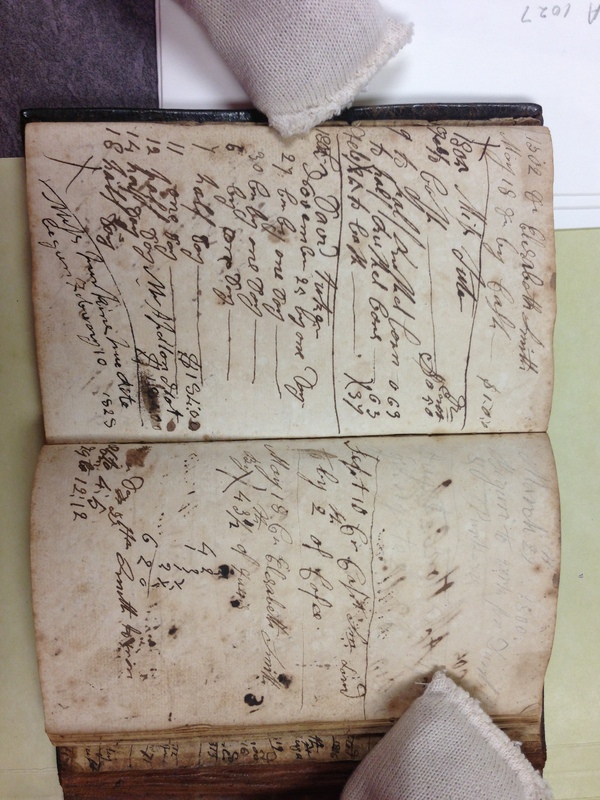 2 Mar 1776; became a blacksmith; m. Elisabeth Smith, daughter of Simon Smith and Mary Shatswell, 30 June 1800; she d. 23 Mar 1846 of consumption in Ipswich; he is named in David Pinder’s probate. Two known children: William. m. Lydia Hamilton, of Chatham, and Mary m. Samuel Caldwell. (3) Nabby – b. 13 Apr 1778; d. 26 Feb 1787, drowned in Ipswich River; perhaps why Elizabeth gave a daughter this name. (4) Hannah – b. 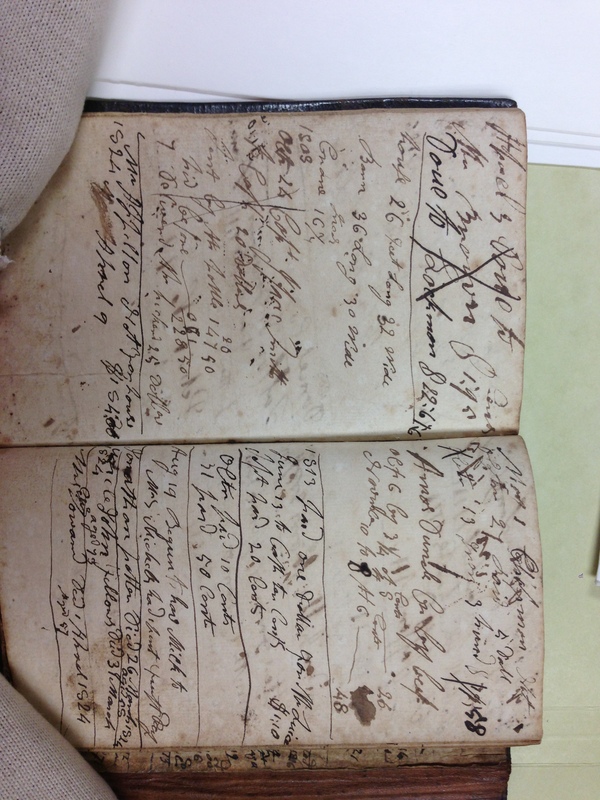 11 Sept 1781; m. first John Smith, son of Simon Smith and Mary Shatswell, 26 May 1801 in Ipswich, he died shortly after they married in December 1801 of fever; she m. second Samuel Henderson, 24 April 1820 (see bottom left, page 1 brother Amos’ account book); d. 23 Mar 1846 a few hours before her brother Amos. (6) John Smith – b. 28 Apr 1788; became an upholsterer; m. Mary ______; d. 17 Aug 1864 Ipswich, High Street Cemetery. One known child Alfred C.
(7) William – b. 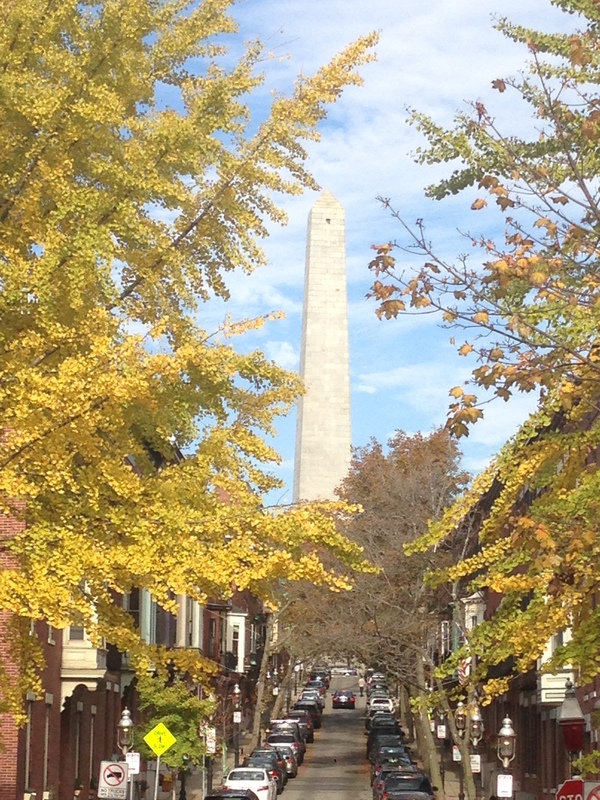 15 Jun 1790; lived in Salem; m. Elisabeth Giles of Marblehead 21 Mar 1813; d. 8 May 1860. (9) Eunice – b. 11 Aug 1793; d. 3 Jul 1825 in Ipswich; a devout member of the Baptist church in Ipswich, single, no known children. 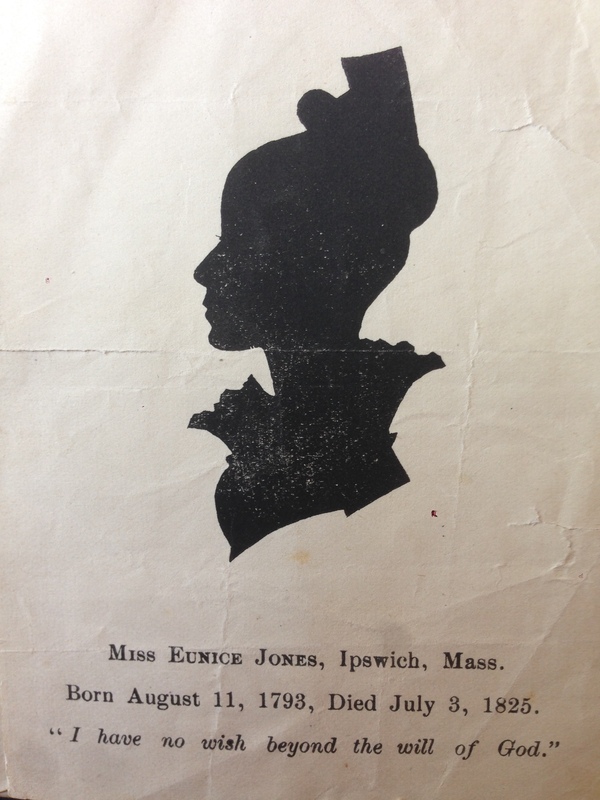 Photo of Eunice found 2013 in collection of papers belonging to Edith (Haines) Hall, my grandmother. 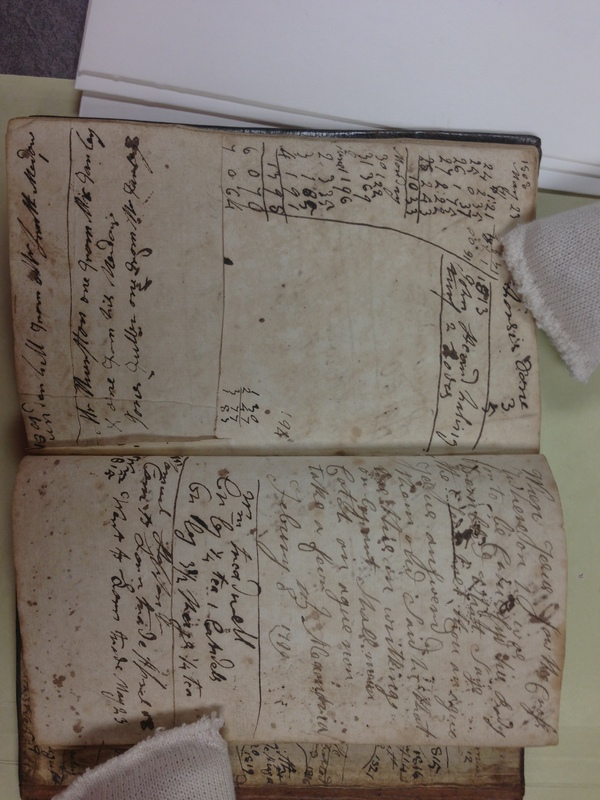 Elizabeth’s brother Amos, a Blacksmith kept an account book. 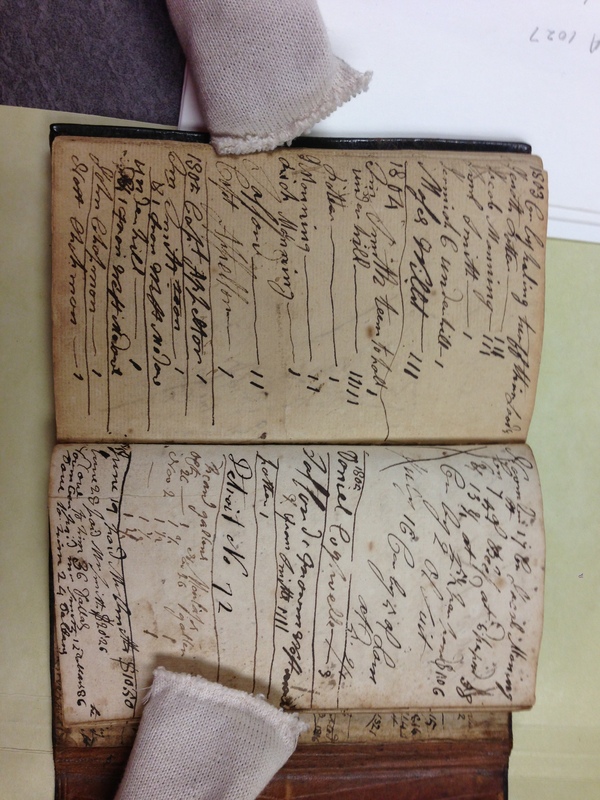 Entries concern accounts, payments, travel, deliveries, and work schedule of Jones and others. 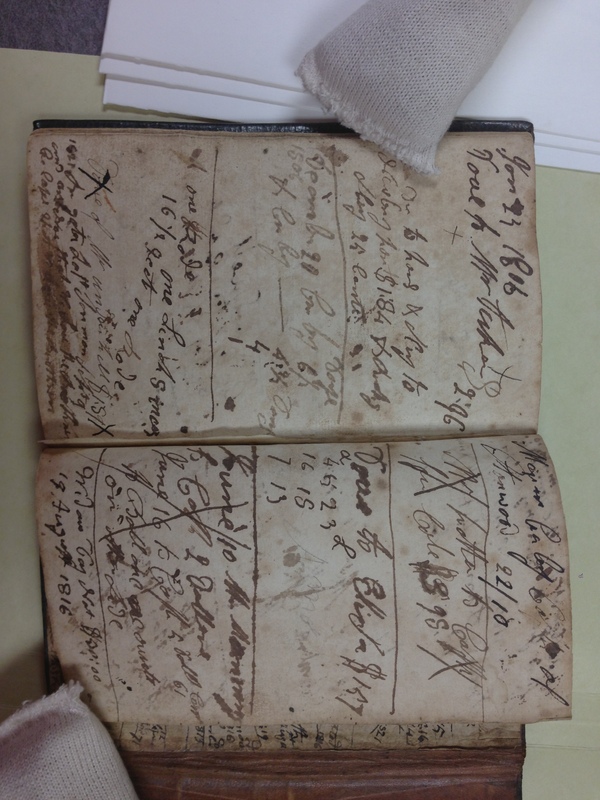 The volume also contains more than 30 scattered vital records for family members and acquaintances, mostly deaths but including several births. 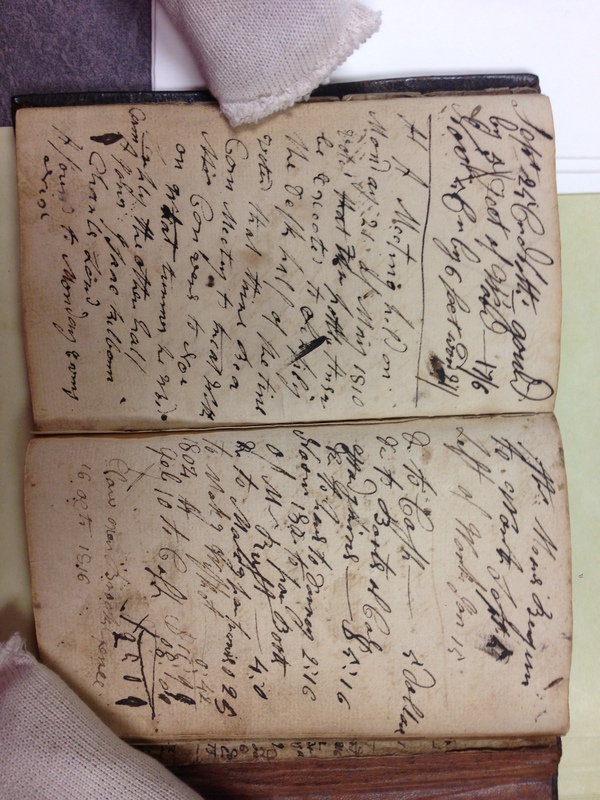 I found the original in special collections of NEHGS and took photos of each page. – Moses Willitt departed this life May 12 1819 [listed in Ipswich vitals as Moses Willett, age 43]. 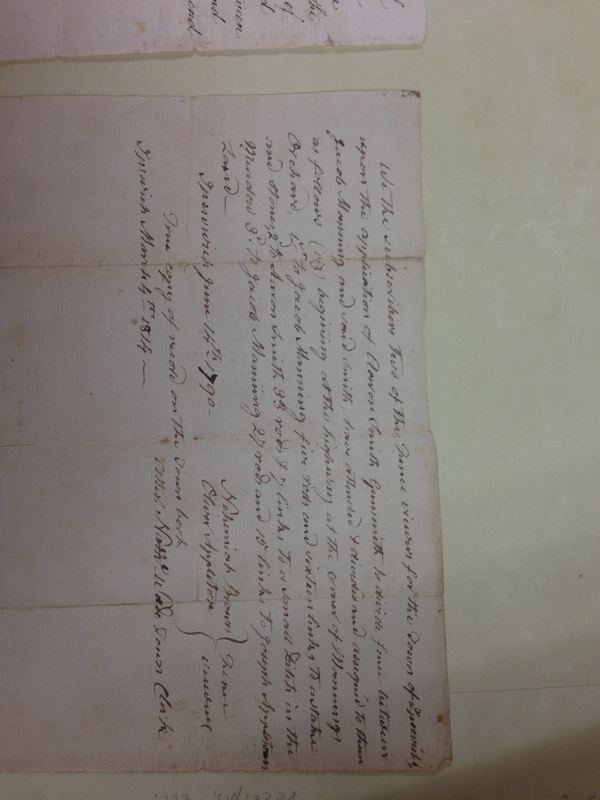 – Sam’l Appleton departed this life May 15 1819 [listed in Ipswich vitals as Samuel Appleton, age 81]. – Uncle James Smith departed this life Oct 27 1805 [listed in Ipswich vitals as Oct 28 1805, age 66; likely Amos’ mother’s brother]. – William Loft/Lost (?) and Morgan D___ (?) 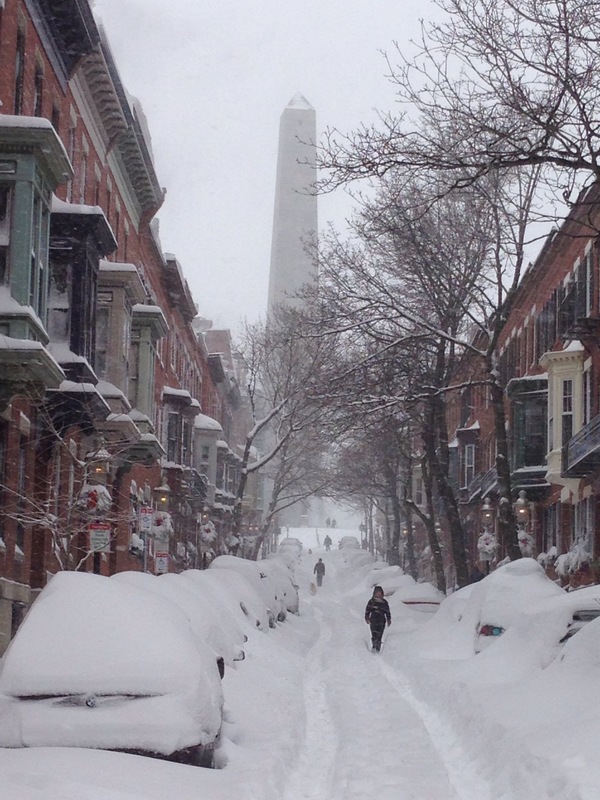 left, moved to Boston 13 Jan 1816. – Captain David Lord departed this life Feb 19 1821 [listed in Ipswich vitals as age 64]. – Nath Rust departed this life March 26 1822 [listed in Ipswich vitals as Nathaniel Rust]. – Capt Ingarsole departed this life May 20 1817 [listed in Ipswich vitals as Captain Jonathan Ingersoll, d. 21 May 1817, age 70]. – Benj Day departed this life April 7 1822 [listed in Ipswich vitals as Benjamin Day, age 67]. 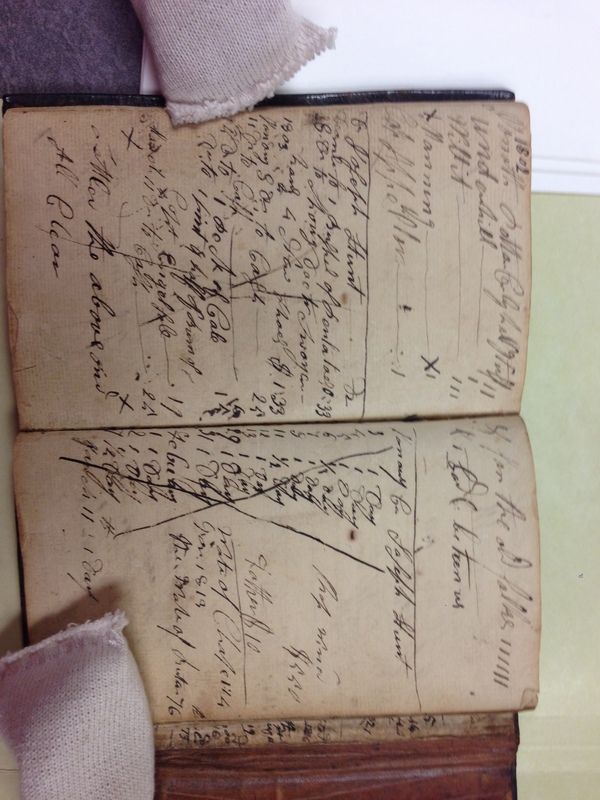 – 1813 Joseph Hunt departed this life Sept 16 [listed in Ipswich vitals]. 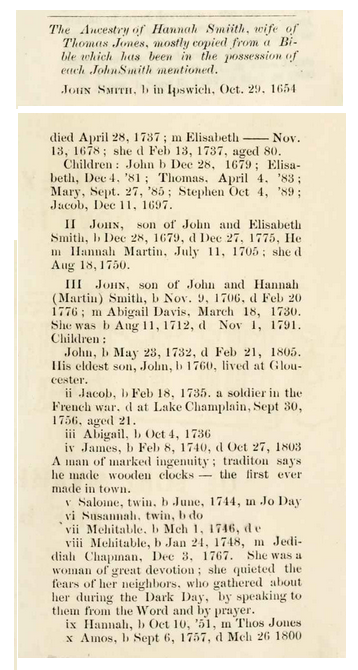 – Cousin John Smith born Sept 1760 [listed as John Smith, father John, born 28 Sep 1760 in Ipswich vitals]. 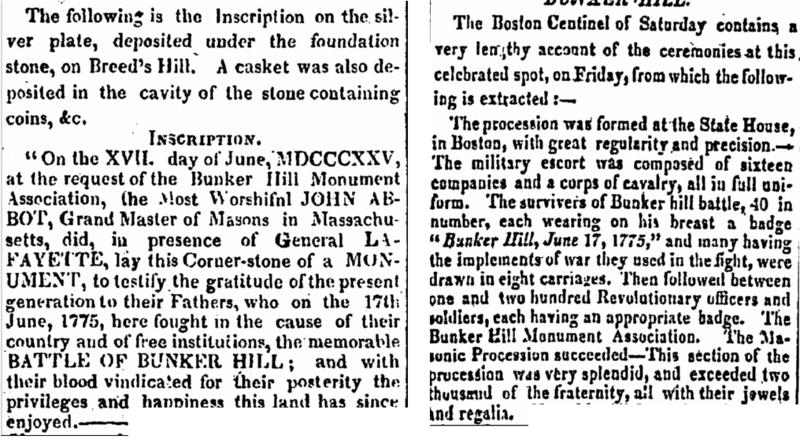 –Brother Isaac Kimball departed this life July 17 1823 [listed in Ipswich vitals as age 59]. 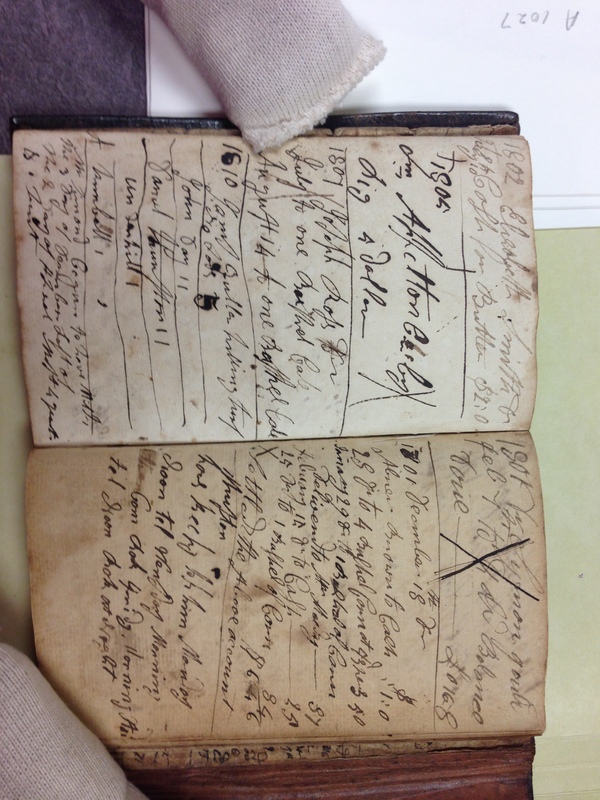 – Robert Farley departed this life July 20 1823 [listed in Ipswich vitals as age 65]. – 1824 ___ John Lord son born February 17 on Tuesday [no potential matches in Ipswich vitals]. – Jonathan Potter died 26 March 1824 aged 58 [matches in Ipswich vitals]. 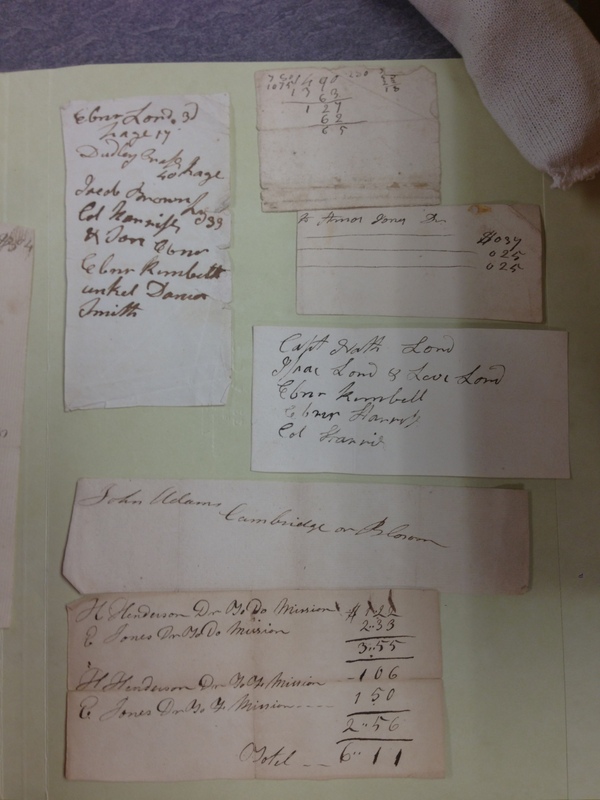 – Uncle John Fellows, died 31 Mar 1824, age 73 [matches in Ipswich vitals]. Likely son of Benjamin Fellows and the widow Sarah Elwell who married Martha Shatswell (Candlewood, an Ancient Neighborhood in Ipswich: With Genealogies, By Thomas Franklin Waters). – Mrs Eli Soward died 1 Apr 1824, age 57 [listed in Ipswich vitals as Elisabeth Soward, age 58, wife of Abraham]. – Elizabeth Rust departed this life March 30 1814 [listed in Ipswich vitals as wife of Nathaniel, age 54, d. 8 April 1814]. 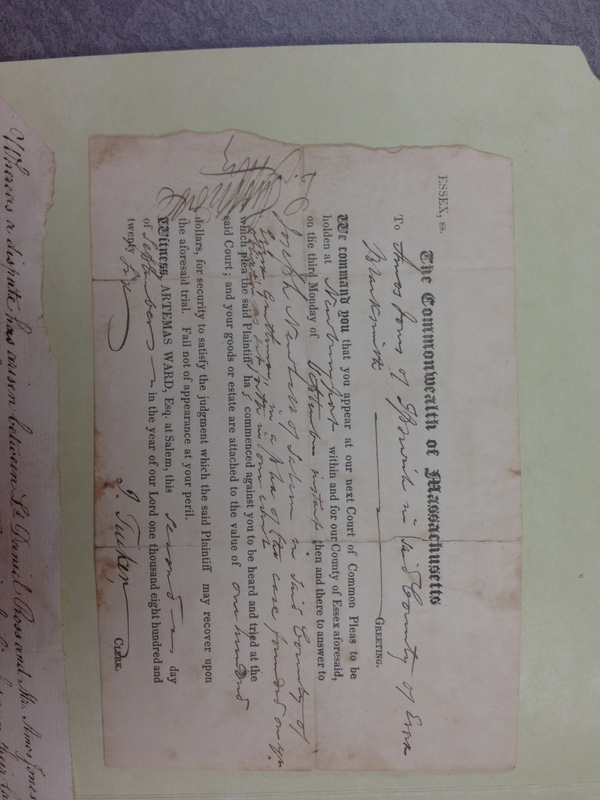 – James Weber born the 17 November 1812 [no potential matches in Ipswich vitals]. – Mary Craft March 20 1816 [no potential matches in Ipswich vitals, possible that this entry is referring to Mary (Craft) Fellows ?]. – departed (?) aunt ____ Coombs (?) 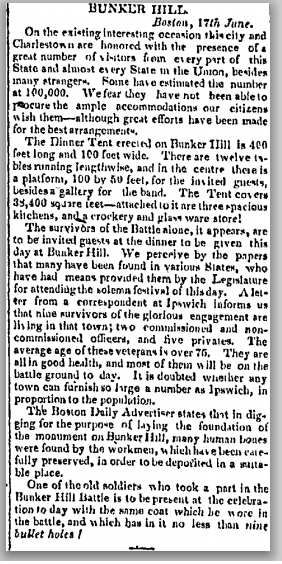 March 25 1813 [no potential matches in Ipswich vitals]. – Nath Whaman (?) went home to _____ ___ 16 1814 [no potential matches in Ipswich vitals]. – Wm Chil_ born Oct 14 1813 [perhaps Charles William Smith b. 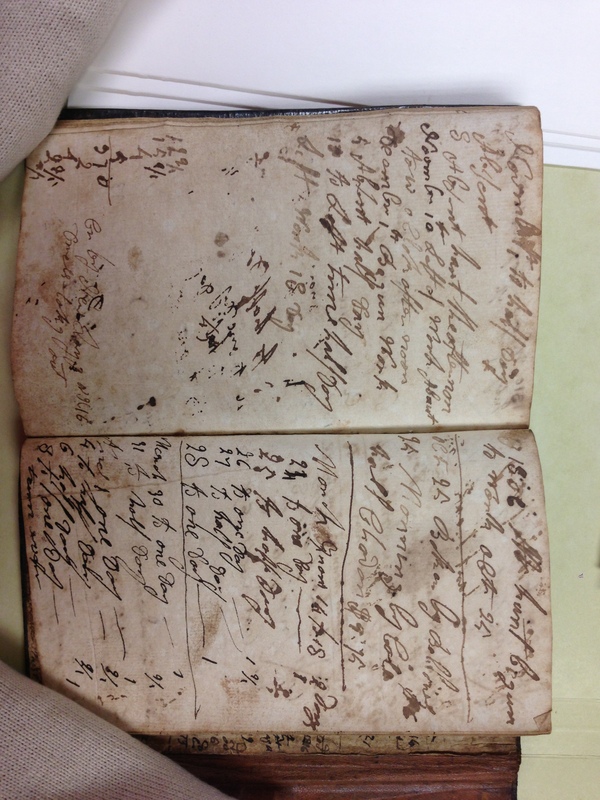 14 Oct 1813 to Ammi R & Sarah, Ipswich vitals]. – Father Jones departed this Life May 6 1824 age 71 (note above entry reads “on Friday year before”) [likely Amos’ father]. 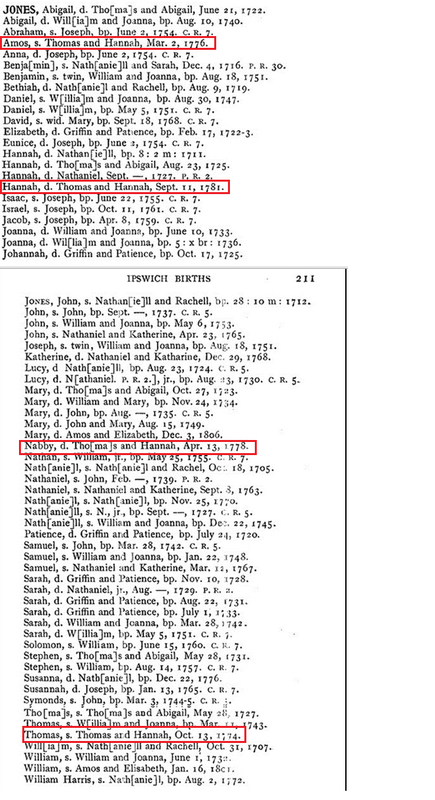 – Wm married 21 March 1819 [no potential matches in Ipswich vitals – perhaps Amos’ son William ?]. – Wife Wallis departed this life July 12 1813 [listed in Ipswich vitals as Mrs Margaret, d. 12 Jul 1813, wife of Aaron Wallis]. 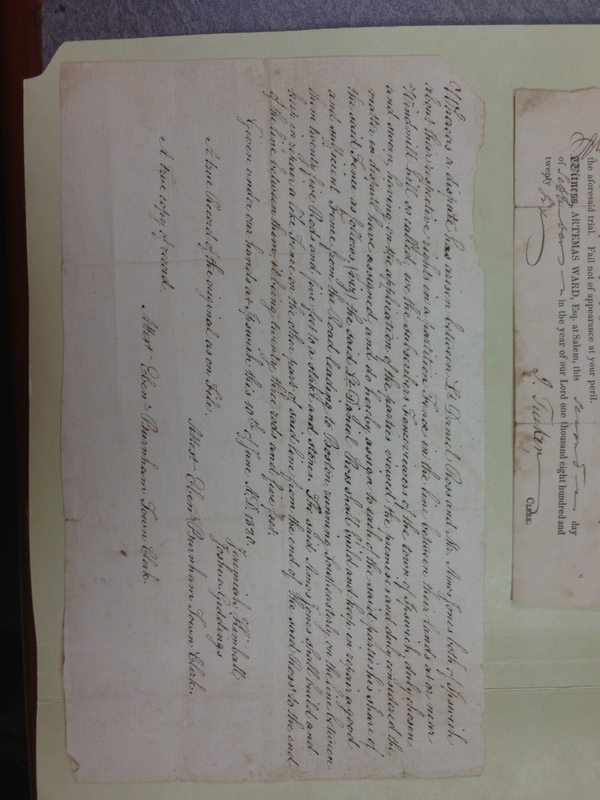 – Mr. Kilborn Rowley ___ 13 of July 1813 [listed in Rowley vitals as Joseph Kilborn age 68]. – 1815 Father Smith departed this life, age 65, August 29 [listed in Ipswich vitals as Simon Smith, likely Amos’ father-in-law]. Amos Jones’ grandson, Augustine Caldwell (son of Mary Jones and Samuel Caldwell) compiled the genealogy of his g-grandparents, Thomas and Hannah (Smith) Jones – Elizabeth (Jones) Pinder’s likely parents. He does not offer sources for the Jones records, but claims the data for Hannah Smith “mostly” was extracted from the family bible. Elizabeth’s full tree still requires some research, but a rough draft is as follows – any Ipswich/Essex County cousins out there with further information? 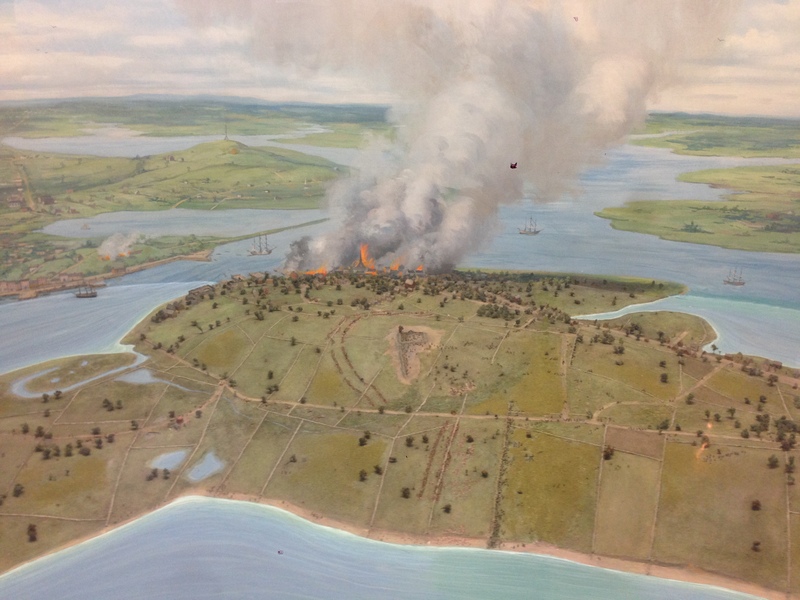 I knew how to research in Malden (or so I thought – keep in mind, this was my first week as a researcher), but had no idea how to research in Ipswich. So, I “Googled” the Ipswich Historical Society and asked if they could help. A few days later, they referred me to a local genealogist. 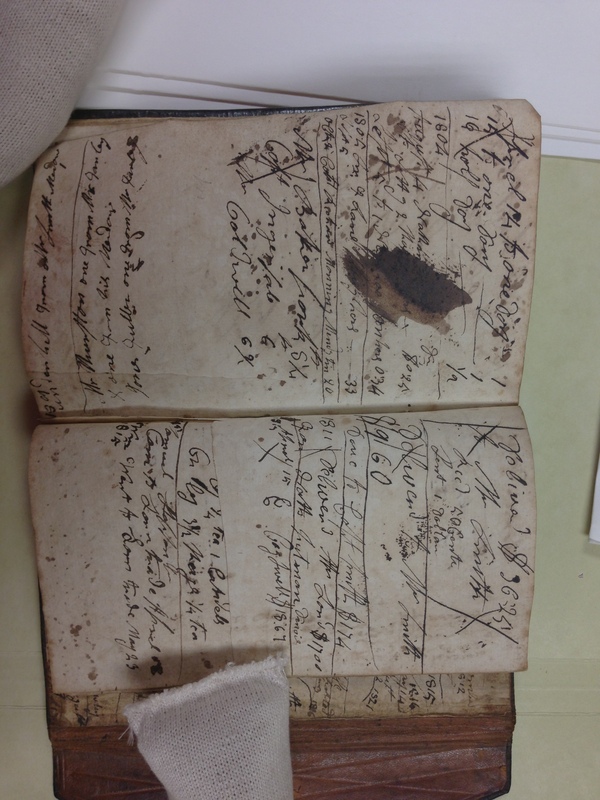 We made contact, I sent her a fairly large check and a few weeks later, I received a beautiful report, which I now know as an Ahnentafel Report, tracing my family back to the 1600’s in Massachusetts. I was soooo excited! This research stuff is easy! I added the Pinders to my family tree on Ancestry.com put the report in my Pinder file and checked them off my research list. Fast forward a bunch of years. Now that I have taken some intensive genealogy courses, read blogs, magazines and practiced the techniques learned (making lots of mistakes along the way), I am revisiting those ancestors added to my tree in the early days. I pulled out the Pinder report last week. I realized it was unsourced. 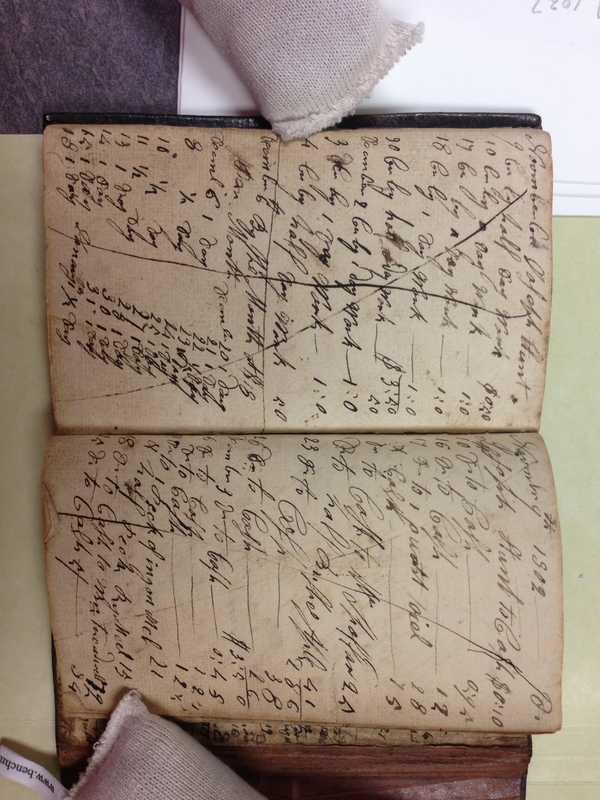 I attempted to locate records online and also consulted microfilmed Essex County probate records (I happened to be at NEHGS for a day). I have many other records to look at (unfortunately Ipswich is a three-hour drive). So, I decided to email the researcher who created the report – why recreate the wheel! She must have a reliable source for David’s parents (she listed them as Moses Pinder & Mary Kimball) and his paternal grandparents (supposedly John Pinder and Katharine Kimball). The response was kind of, what word should I use – horrifying? First, the genealogist, who will remain nameless, acts insulted that I was asking for her source, she lists her credentials and indicates I should just “trust” her, why would she lie? Then she tells me Ancestry.com is for amateurs. After much prodding, she reveals the source. 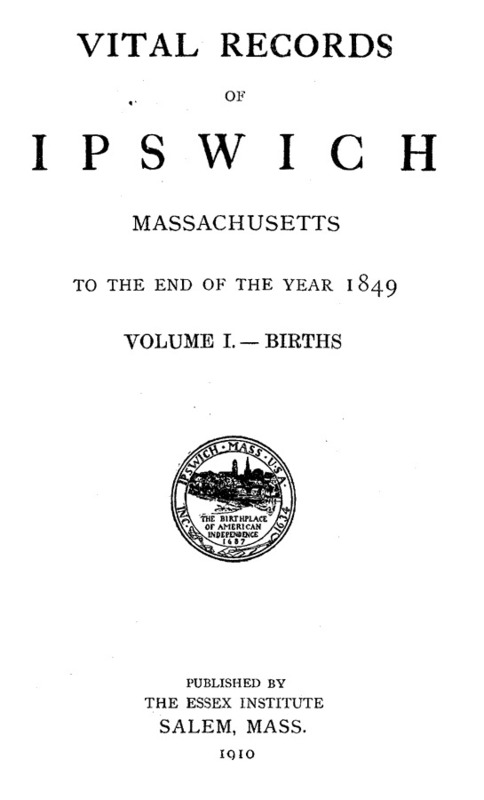 It is the published Ipswich Vital Records (she even lists the Essex Institute as publisher in her email). 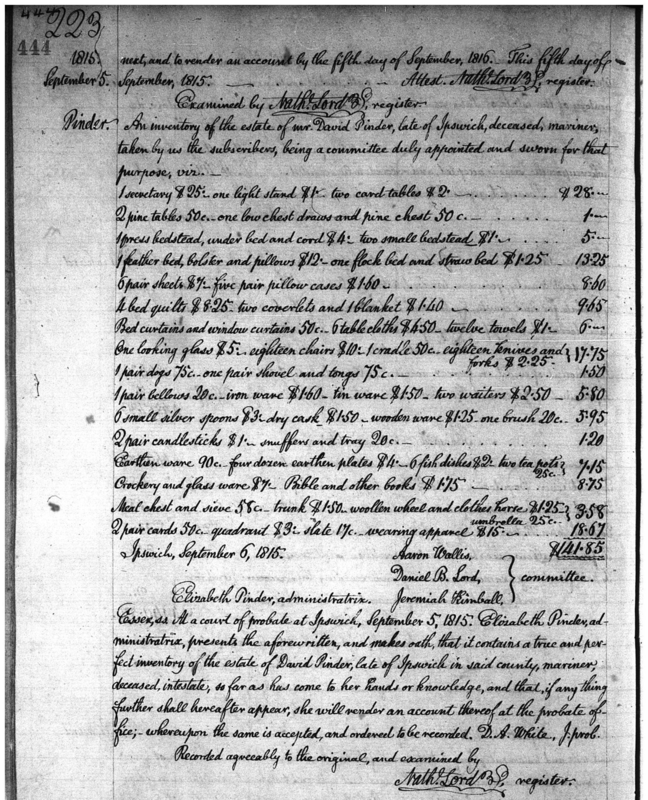 I tell her that I consulted the same exact source on AmericanAncestors.org (and forward her the following cover page of the digitized book) . She then changes her tune and says that she used the real books and not something on the Internet. I have copy/pasted the email exchange below (my responses in italics, hers in bold). This is just so wrong on so many levels. I feel cheated. Not only is she unable to provide a source that answers the genealogical question (who are David’s parents and his paternal grandparents? ), but she only consulted one source for the entire report? What happened to the The Genealogical Proof Standard? Live and Learn!! I am writing this for all of you just starting out… Yes, hire someone to assist you when you are “stuck” or if it is geographically impossible for you to pay a visit to the town/village/city of your ancestors – but take care – hire a Certified Genealogist (http://www.bcgcertification.org/associates/index.php) or at least someone who is listed on the APG (http://www.apgen.org/) – ask for a sample report and check references before you just write a check! Several years ago, I had hired you to do some research on my Pender/Pindar/Pinder family. I finally have time to do some of my own research. 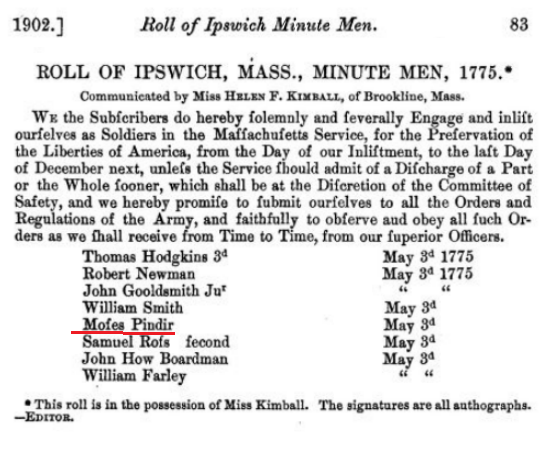 My 4th g-grandfather was David Pindar who was born in Ipswich and died at sea in 1815. 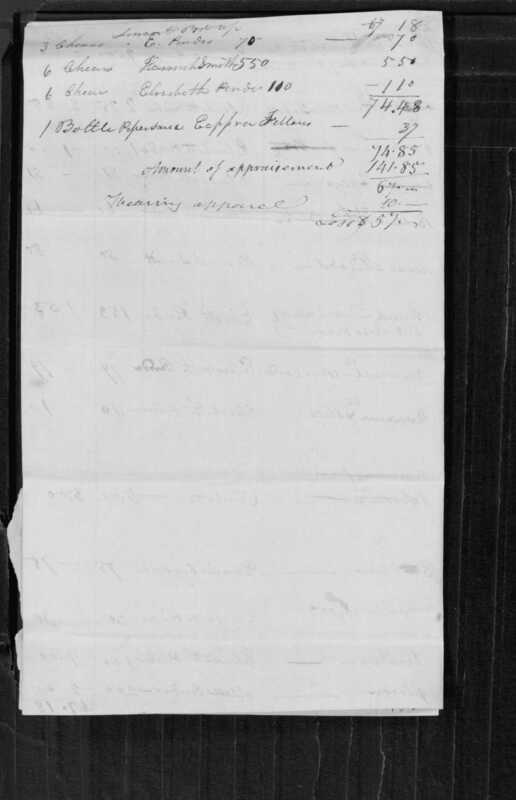 Vital records to 1850 list his son of Moses baptised on16 September 1787. 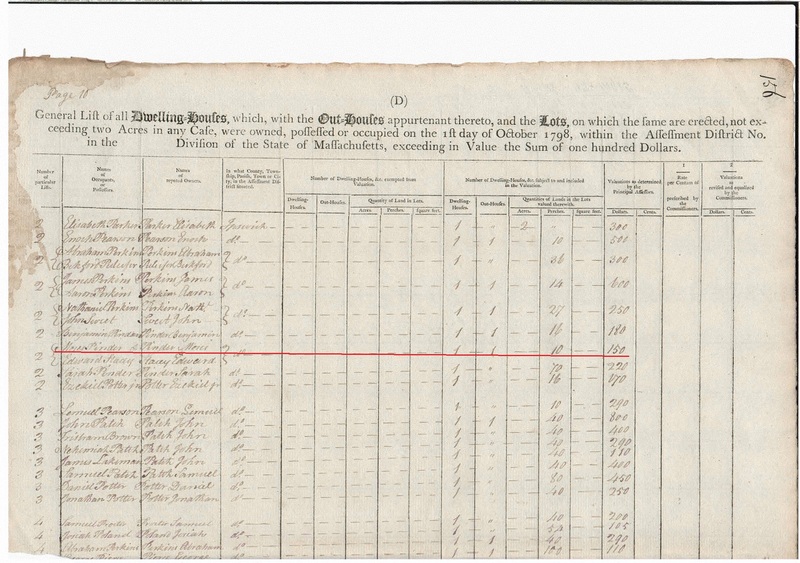 (1) Mary Kimball – 19 Sep 1778 “Massachusetts, Marriages, 1695-1910,” index, FamilySearch (https://familysearch.org/pal:/MM9.1.1/FCCS-TM5 : accessed 13 May 2012), Moses Pinder, 1778. Gloucester: (2) Pinder Moses and Mary Procter m Sept 8 1778 by Rev E Forbes. In the report you gave me, you indicated that David was the son of the Moses (born to John Pinder and Katherine Kimball) who married Mary Kimball. The document that you provided to me did not include sources and I have been unable to find any record which indicates that this Moses is father to David (vs. the Moses who married Mary Procter). I was hoping that you could let me know the source that you used so that I can obtain a copy for my files and create a proper source citation. It has been a long time. All the information I supplied to you came directly from Primary sources. I would have used the vital records from Ipswich and Gloucester. I would have gone to Gloucester to help verify my sources. I have my Masters in History and archival research and would have only used only primary sources. Unfortunately I have moved and cannot find your file and it is difficult for me to remember all the research that I have done after all these years. If you had questions they should have been asked at the time. I will try and check with the info you sent but I cannot make any promises. My apologies for the delay in inquiring. It is my fault – I had no idea until very recently of the importance of source citations. I am sure you did the proper research and that the information you provided is correct, but I would love to have the source for my records. I can scan or mail the copy of the report you sent me, if that would be helpful. As mentioned previously, I descend from David Pinder/Pindar (1787-1815) of Ipswich who married Elizabeth Jones (daughter of Thomas Jones and Hannah Smith). 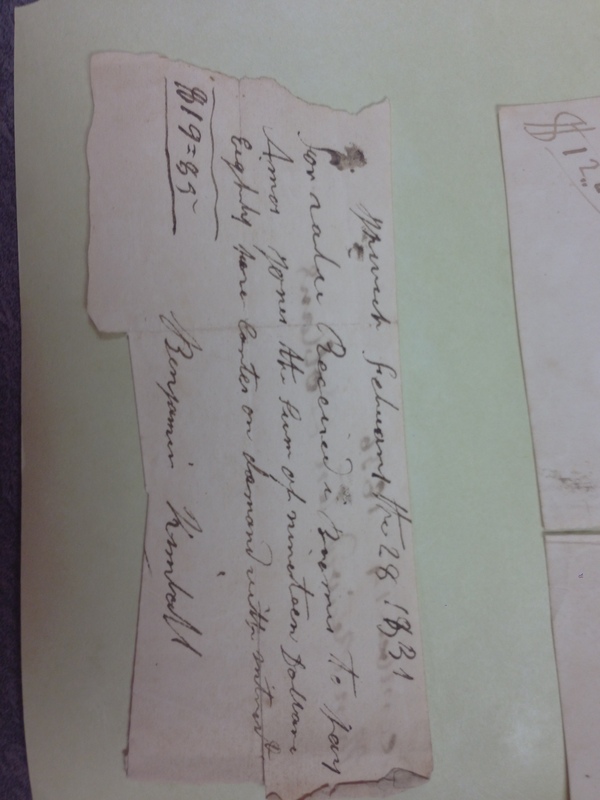 David’s father was Moses Pindar (see attached birth record). 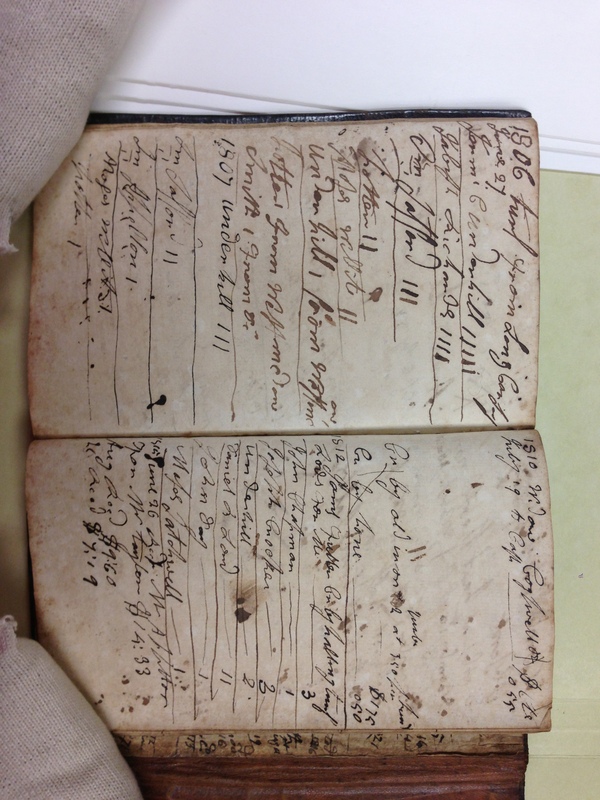 His marriage record (attached – right hand page about half way down) says only that he is from Ipswich. 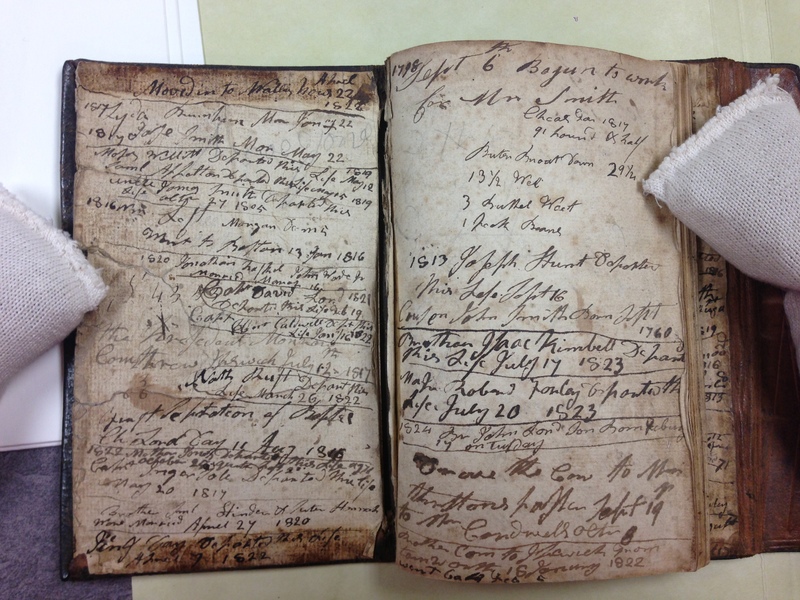 His death record (also attached – see right hand page about 1/4 of the way down), just says that he died at sea. 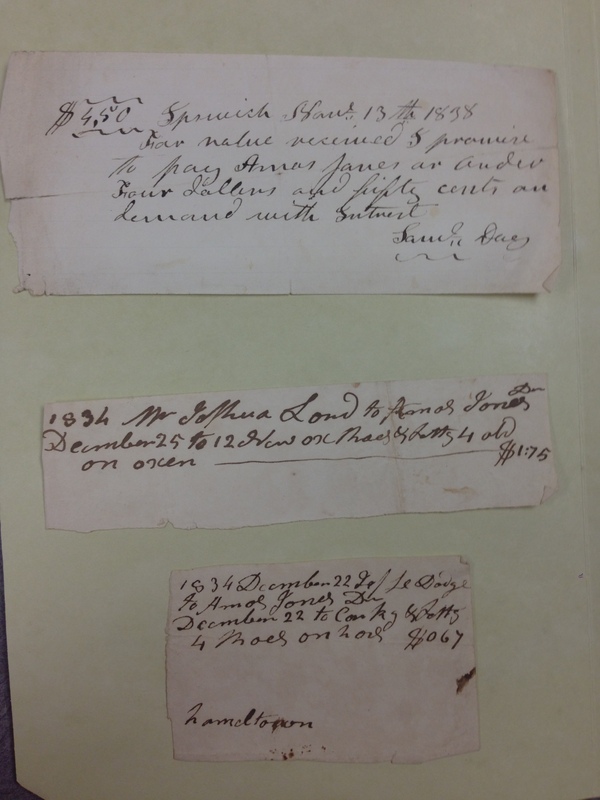 He died intestate – the probate records do not mention his parents, only his wife. 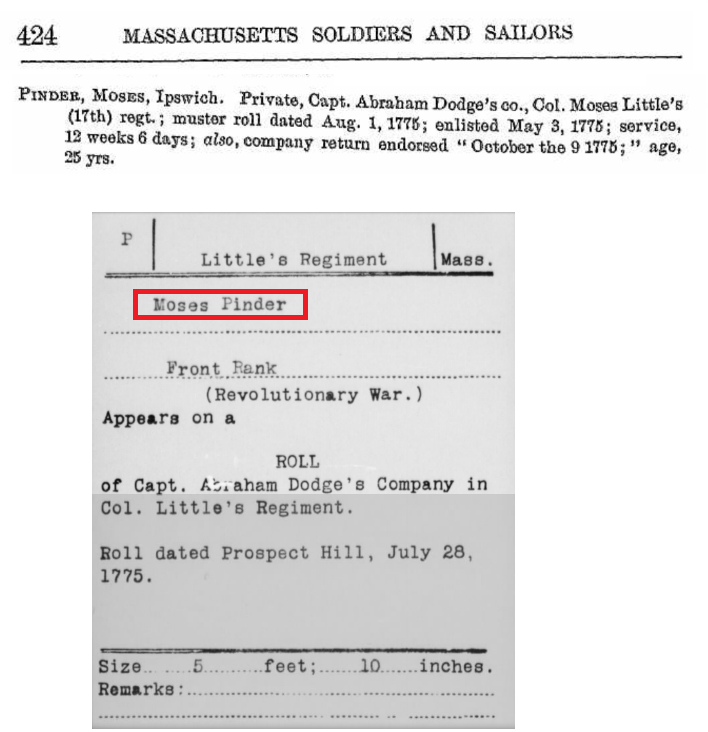 (2) Moses Pinder – bride’s name: Mary Procter; marriage date: 08 Sep 1778; marriage place: Gloucester,Essex,Massachusetts – https://familysearch.org/pal:/MM9.1.1/FCHH-FJV the Mary Procter marriage registered in Gloucester states that Mary was now from Ipswich: Moses, and Mary Procter [formerly of this town, now of Ipswich, C. R. 1. 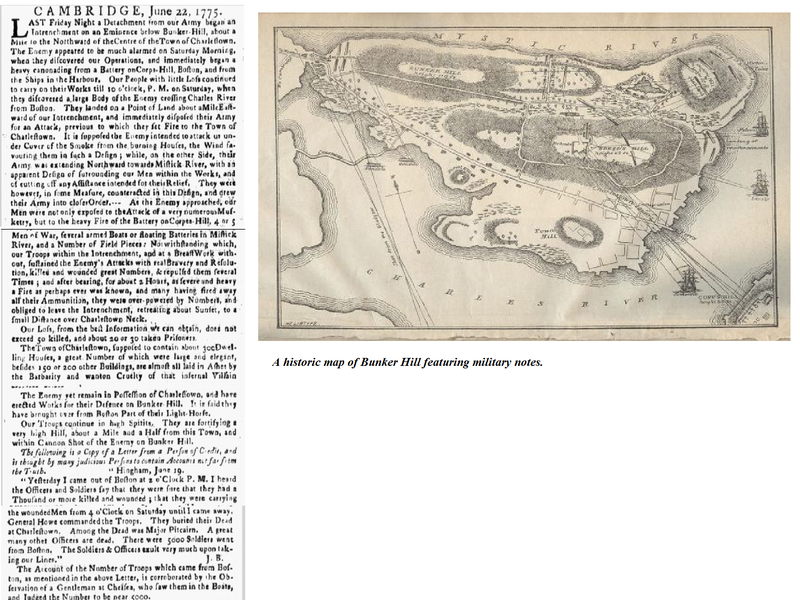 ], Sept. 8, 1778. I don’t know for sure, but since David was born in 1787, I am guessing one of the Mary’s was his mother. 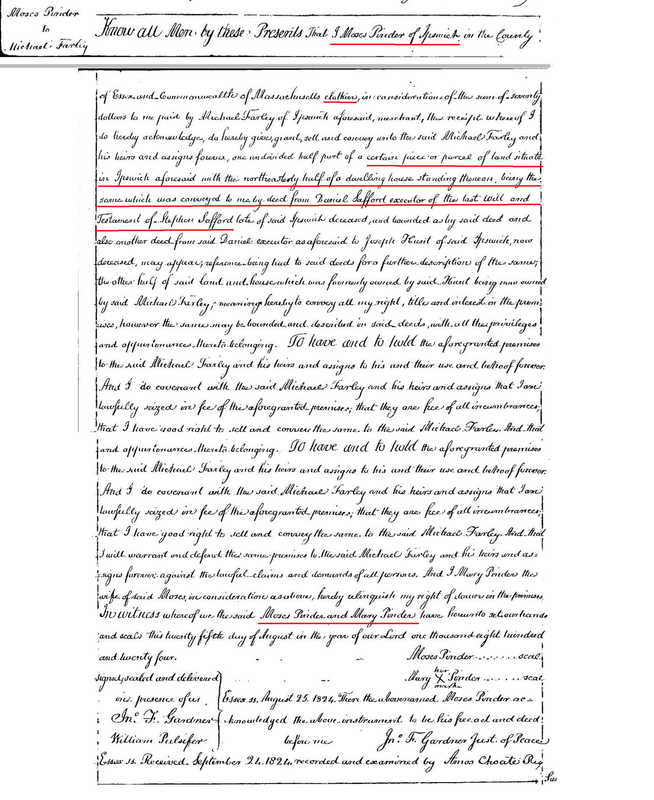 If Elizabeth Safford (a widow) was married to Moses in 1765, if she was living, it is unlikely that she would still be of child bearing age 22 years later. Maybe Mary Kimball and Mary Proctor are the same person? 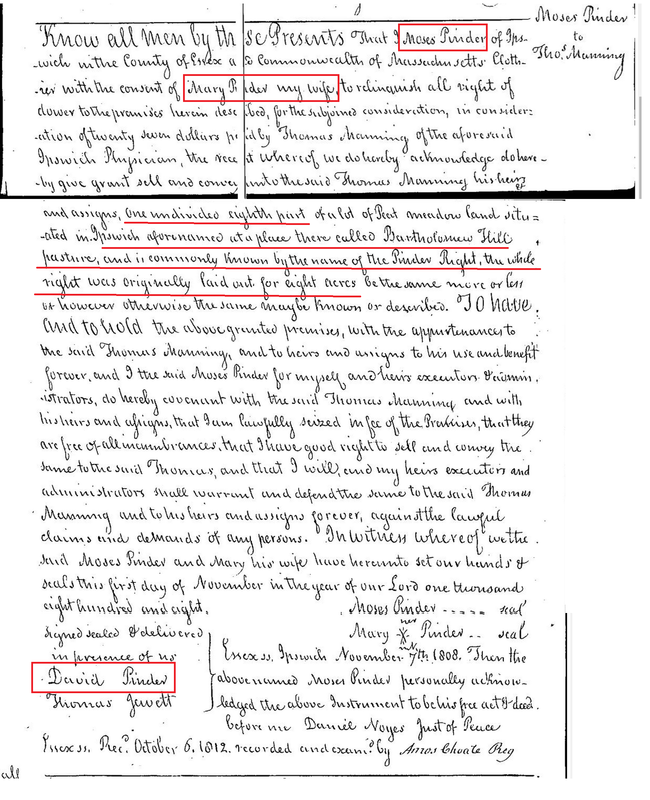 Perhaps Mary was married previously and one town uses her maiden name and the other the name she used during her first marriage – since the intentions are 11 days apart? 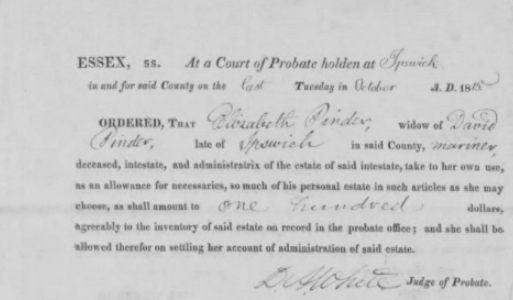 I did not find any probate records in Essex County for any man named Moses Pinder [could he have moved out of the county? or perhaps he did not have an estate at death]. There are records for both John Pinder and his wife Katherine that do mention a number of children as heirs, including a son Moses. Any help that you could offer in providing a source proving that the Moses born to John and Katherine is also the father of David would be appreciated. I did double check my sources last night. 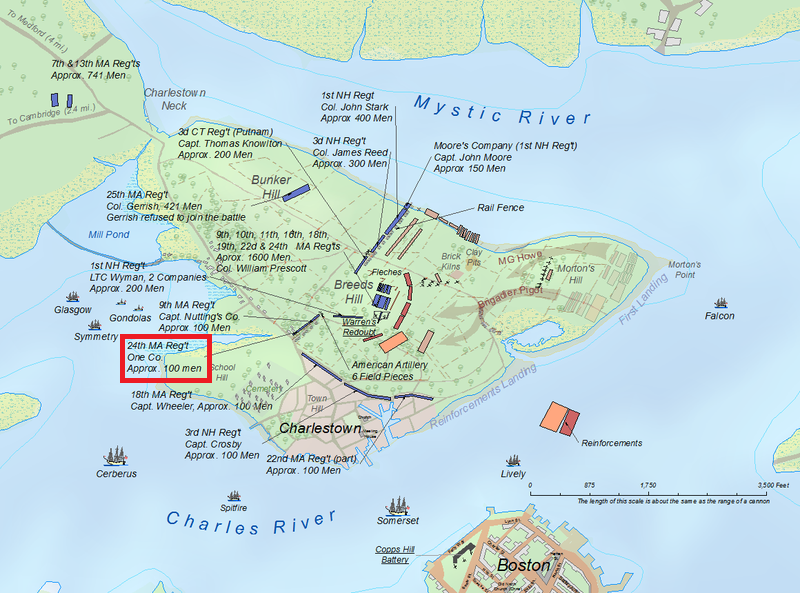 ALL my info came directly from the Vital records of Ipswich, Massachusetts not from the Massachusetts state records. The individual town records are more accurate than the state records. And all the data was correct starting with Moses’s birth & parents and his marriage. I do not list each time I use a source when the one source I used was used for all the data I found. I never assume anything-that only leads to confusion and misinformation. I did go to Gloucester to check on their Moses. Two different men, two different birth parent and marriages. There is no doubt in this case. If you choose to follow Gloucester it will only confuse you genealogy and send you on a wrong tree. Thanks! Can you please forward a copy of what you had found for Moses? I would be happy to pay you for your time and the copies. Please let me know the cost and an address to forward the check and I can send it out today. 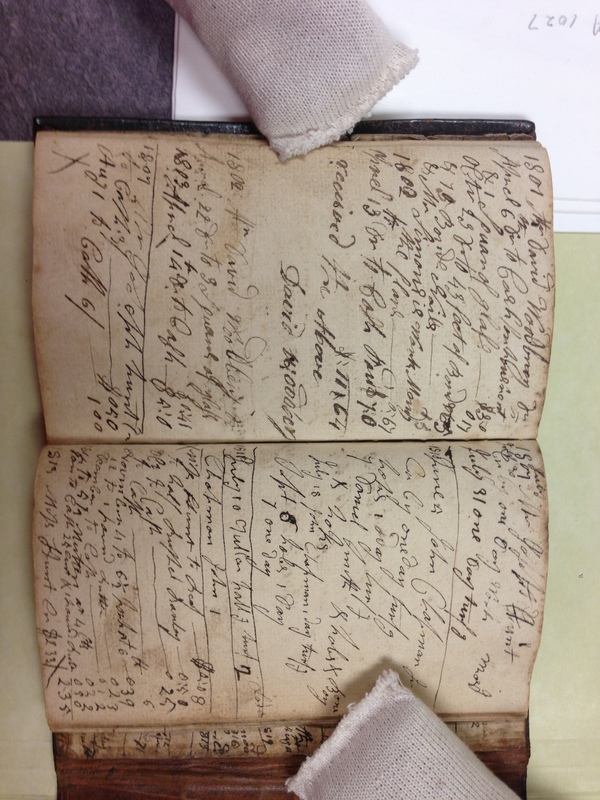 I have access to the Ipswich typewritten books on AmericanAncestors.org and also to the handwritten Ipswich books on Ancestry.com (the first page in the book indicates that it is a copy carefully copied over by the town clerk Wesley Bell in 1884). Neither of these books list any parents with the marriage intention, so I cannot tell if my Moses married Mary Kimball or Proctor. David’s birth and death record that I have does not list his mother’s name either. I also could not find a second Moses with different set of parents in Gloucester. Could you please forward a copy of that record as well? The Gloucester books that I have says that their Mary (Proctor) was now living in Ipswich – were both Moses also living in Ipswich? I only see one Moses in Essex county in that timeframe in the census and tax records. When and where did Moses #2 die? 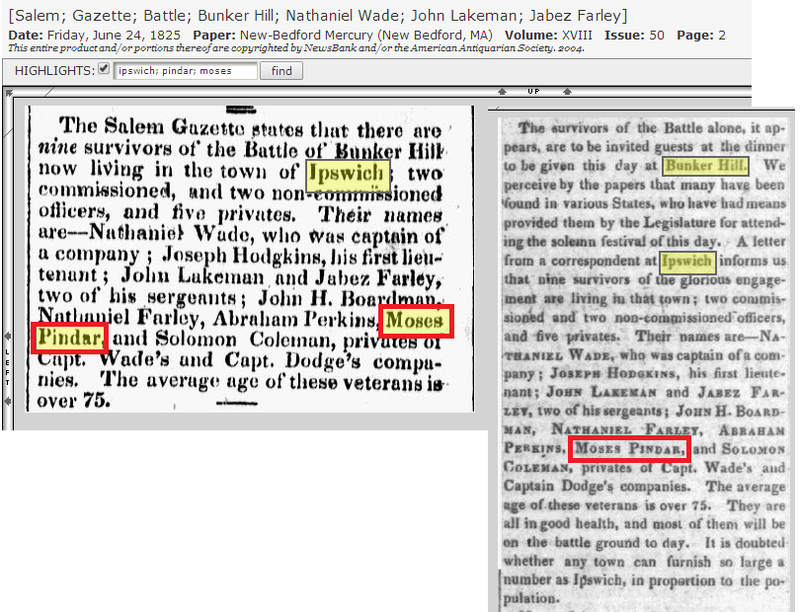 I did not find probate records in Essex for any Moses and I only found one death record and one enlistment record in Essex for a Moses. 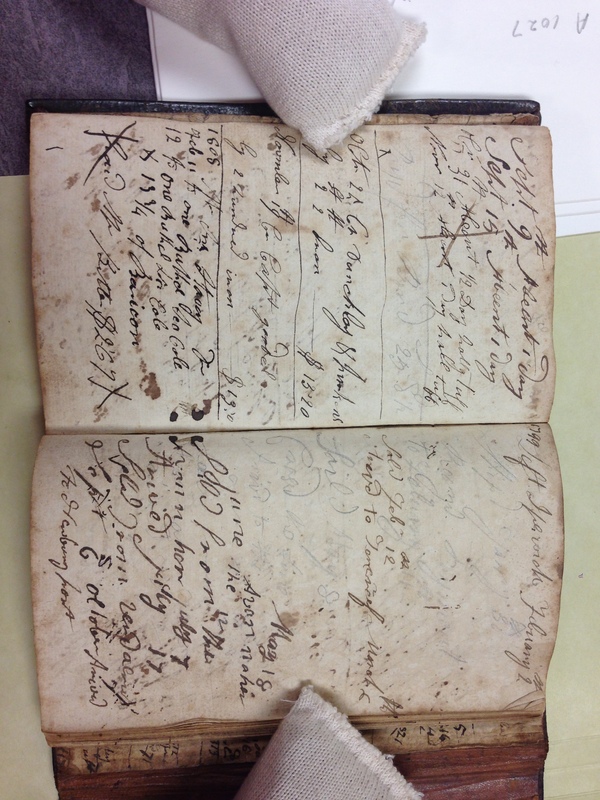 These are actual copies of the town’s vital records books kept by the town clerks from 1650 to 1849. All the vital records are in these including Moses birth-his parents-their marriage-Moses’ marriage. These are the best resources for Ipswich records. This is all I can do short of sending you my books. I’m sorry you doubt my word and resources. I have devoted my life as well as many years of schooling to make sure I do it right. It does me no good to make up info especially when it is in my own line. Ancestry.com is mainly secondary sources for amateurs and I know for sure that these books are not included. 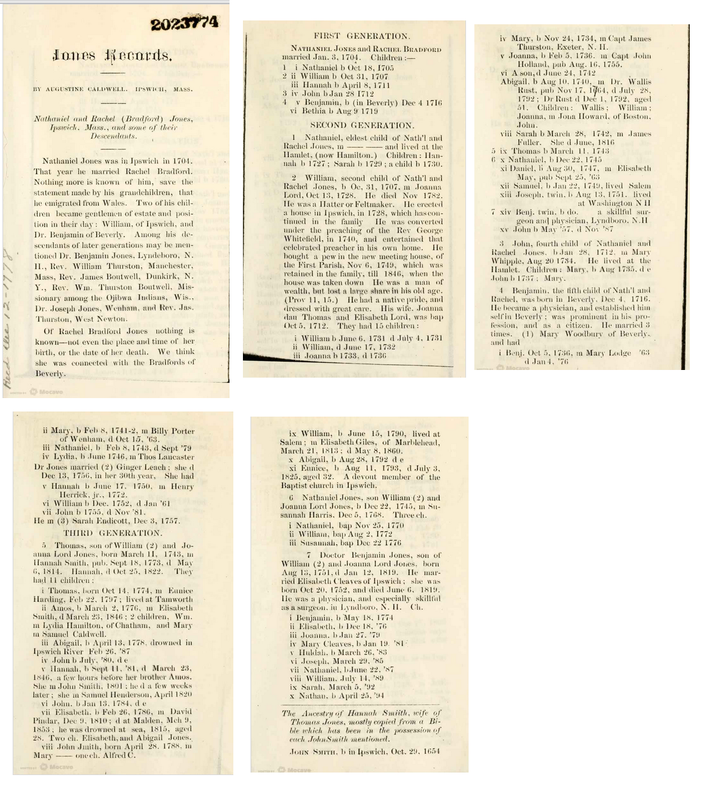 I do have access to the books that you have referenced, reprinted by Higginson Book Company, in your last email via AmericanAncestors.org the (New England Genealogical Historical Society website – attached is the cover page of one of them). 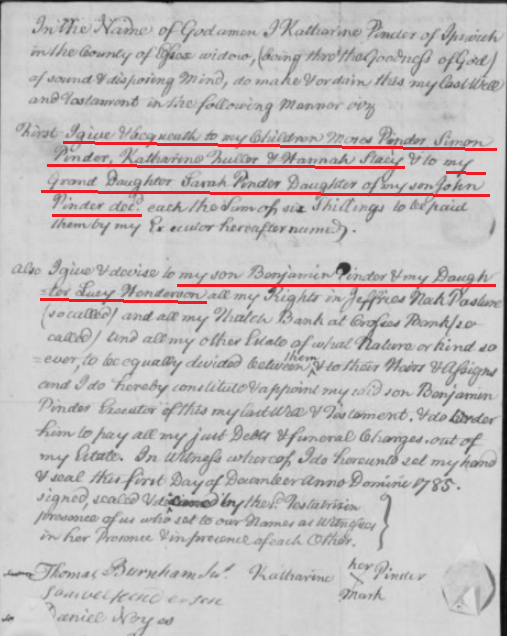 If these are the sources that you used, they do not show (at least from what I can see) that David Pinder is the son of Moses Pinder who was born to John Pindar and Mary Kimball, nor does it show that Moses Pindar, father of David married Mary Kimball as stated in the document that you provided. This morning in your email, you stated that there were two Moses’s born around the same time, to two different sets of parents who married two different wives. 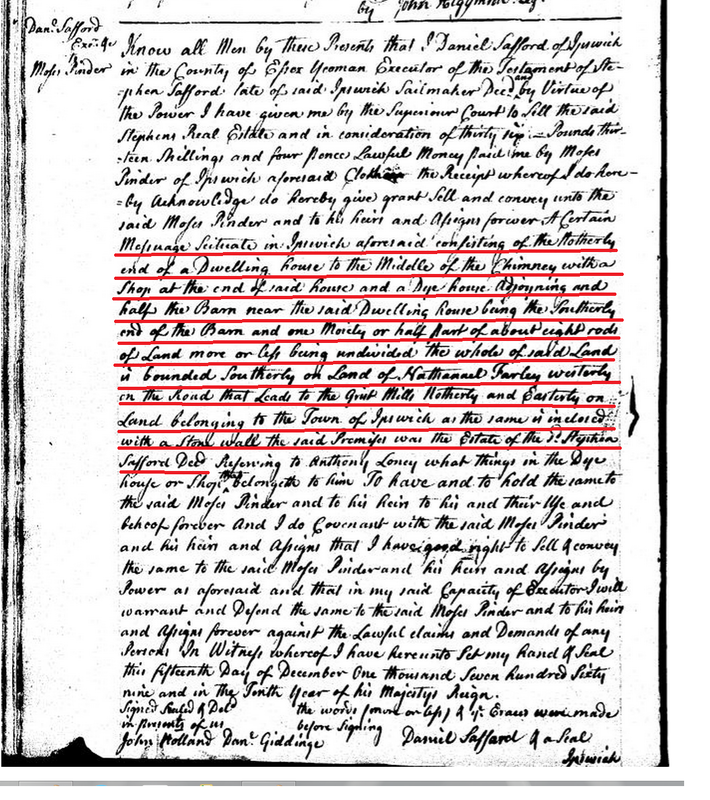 In all of Essex County, I see only a Moses born 1732 who also died 1732 to John and Katherine and a Moses born 1740/1741 also to John and Katherine. David’s birth states that his father is Moses – no mother is named. David’s marriage lists his wife – no father or mother is named. David’s death states that he died at sea – no parents or wife is mentioned. 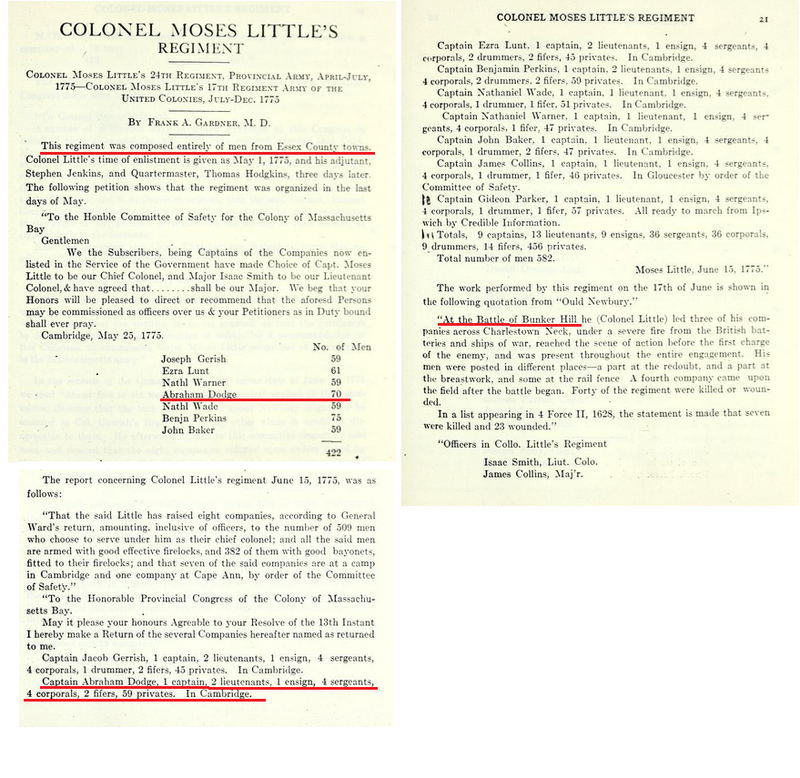 According to these books, there is only one Moses born in Ipswich (and in all of Essex County) in the proper time frame and it does list his parents: Moses, s. John and Katharine, Mar. 3, 1740. – NONE of these records lists any parents names. 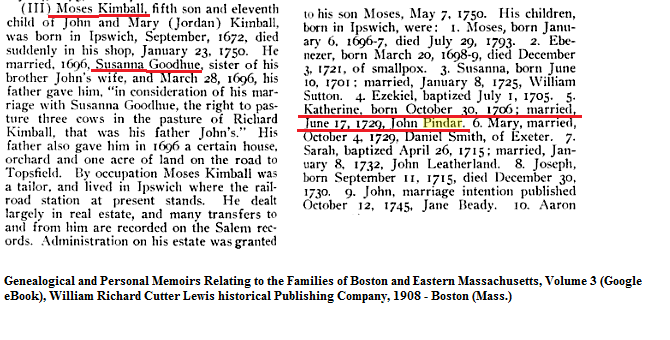 I cannot tell if there are three men named Moses of different parents or one Moses who married three different woman in his lifetime – or if Mary Kimball/Proctor was the same person and perhaps one name was from a first husband and the other her maiden name since the intentions in Gloucester and Ipswich were only 11 days apart. 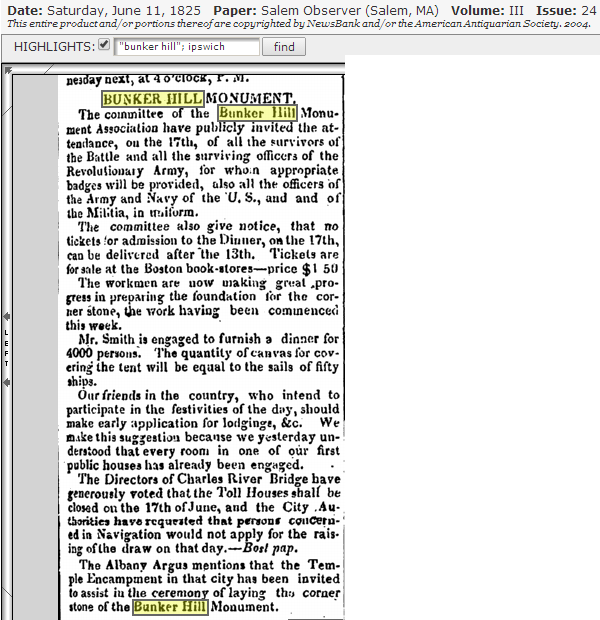 There is only ONE death of Moses Pindar in Essex, again no mention of parents names or wife – Moses, Oct. 19, 1827, a. 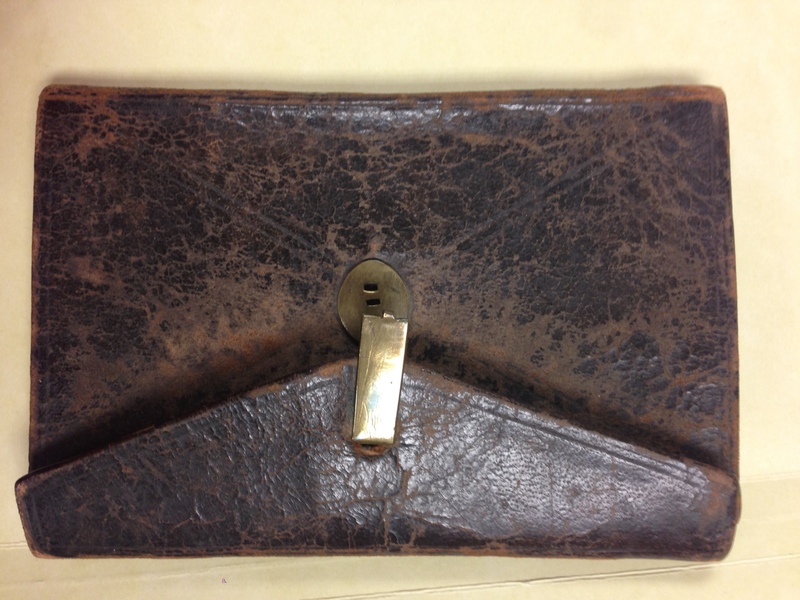 86 yr. – Mary’s death does not give her maiden name: Mary, w. Moses, Mar. 2, 1826, a. 77 y. As I mentioned this morning, it is unlikely that the mother of David was Elizabeth Stafford as she would have been past child bearing age when David was born. After looking at the books you reference (along with other sources), I am not sure how you determined that David’s mother was Mary Kimball. I am just seeking clarification from you, and would love a photocopy of your source for my records. I am using the actual vital records not books or an internet site. 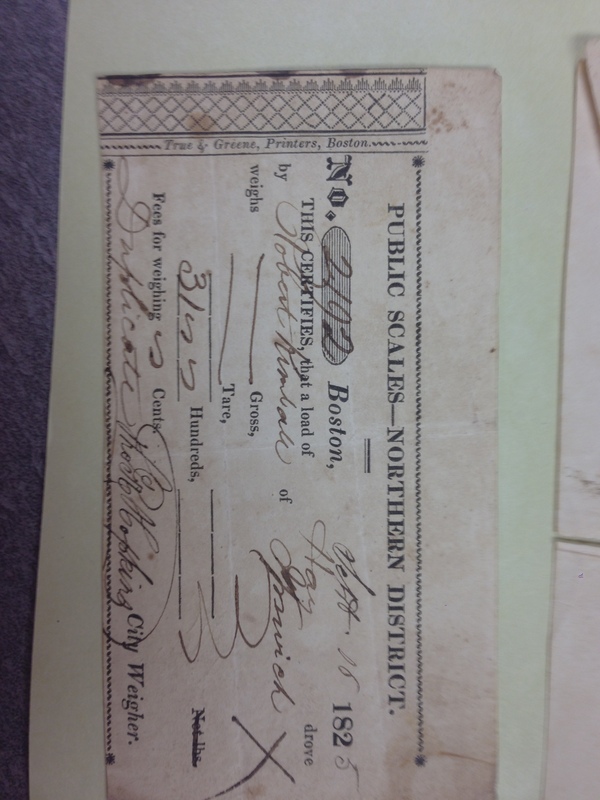 I think that I can get actual copies of the marriage records & birth records from town hall. I believe they would cost $15.00 each. They would also be notarized. They would be on the new forms with the old info on them. I have never had to do this before but I see no reason they wouldn’t do it, it is directly from the public records. As a professional my credentials have never been called into question before and I have done work for the DAR and the Mayflower descendants. You may not understand the difference between actual vital records and books someone has written on the subject. If you want the actual certificates just let me know, they have to be paid for in advance. It would take less than a week to get them to you.